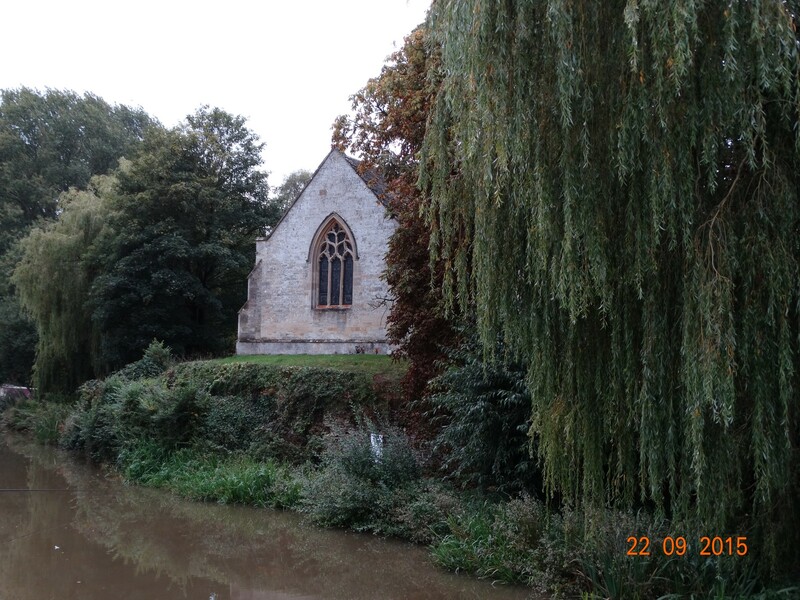 On Saturday we left Oxford and headed back to Thrupp. 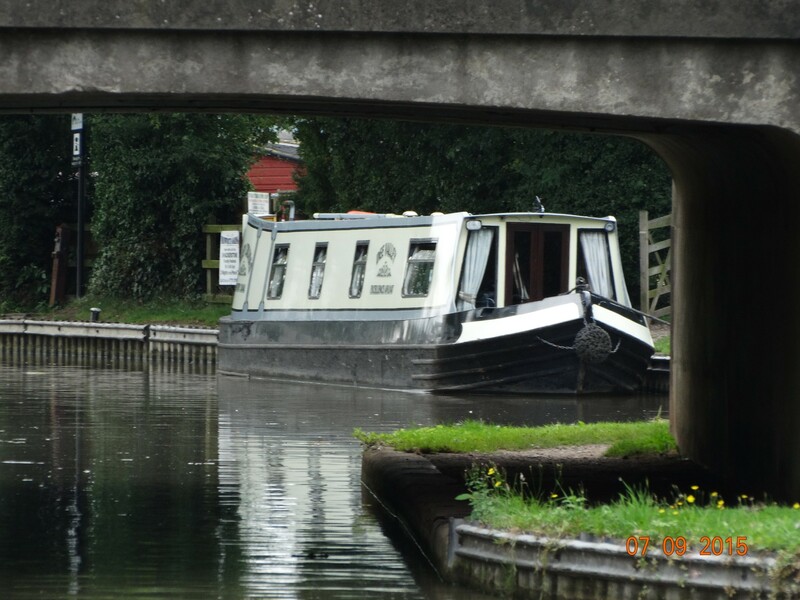 We stayed at Thrupp for 2 nights then set off again yesterday, deciding to aim for a more secluded mooring, as we were fed up with running the gauntlet with cyclists trying to run us over! 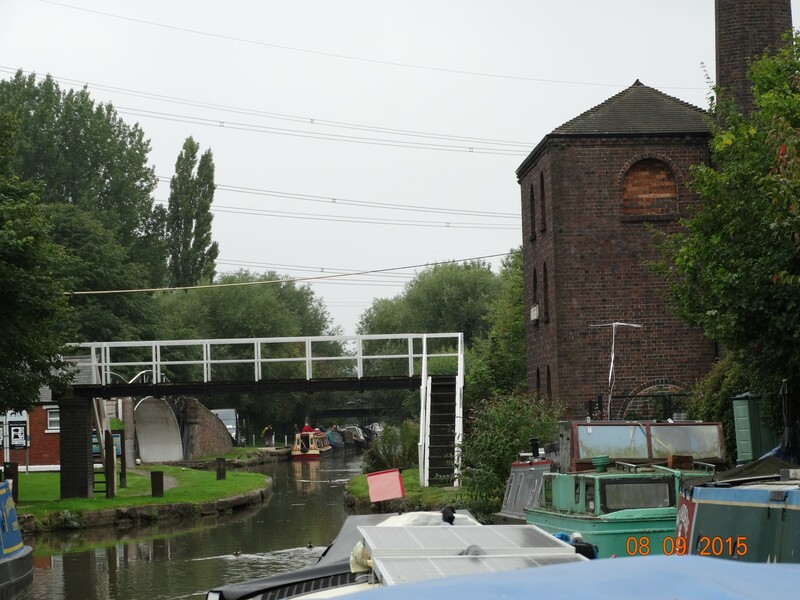 We had one altercation when Charlie asked if the woman had a bell (after she came up from behind without him hearing her whilst he was at a lock). The man accompanying then started to argue. Bearing in mind Charlie has a hearing impairment and wears hearing aids, we didn’t think it was unfair to question the need for a bell. We set off again yesterday. 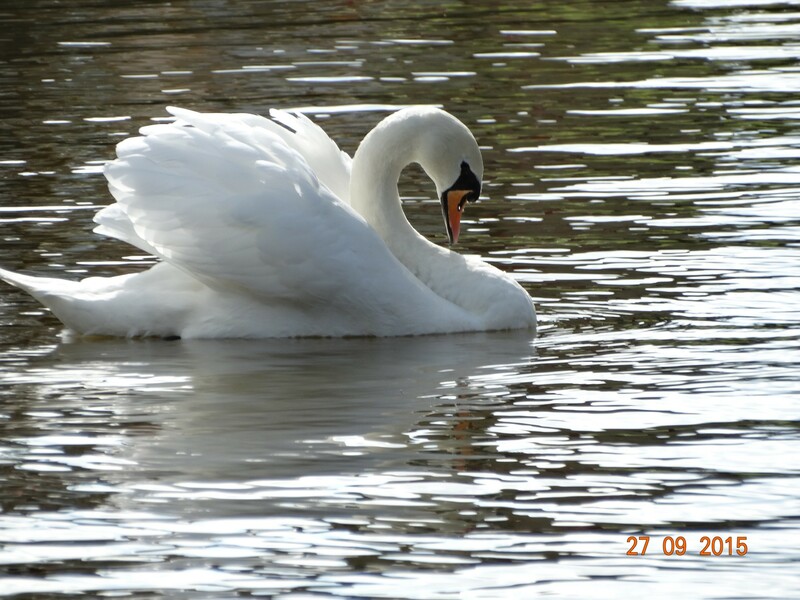 The weather has been very kind, with lovely sunny days (just right for cruising), but very cold nights. We have had the fire alight most evenings which does take the chill off the boat. We had a pleasant cruise for the most part. 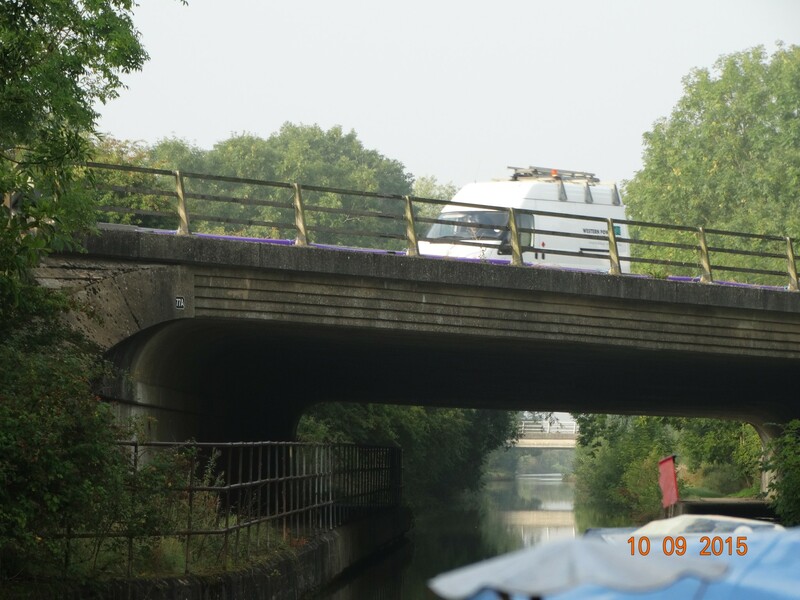 We had to negotiate a boat that was moored by a bridge, opposite another boat, that had actually broke free of it’s bow mooring rope. 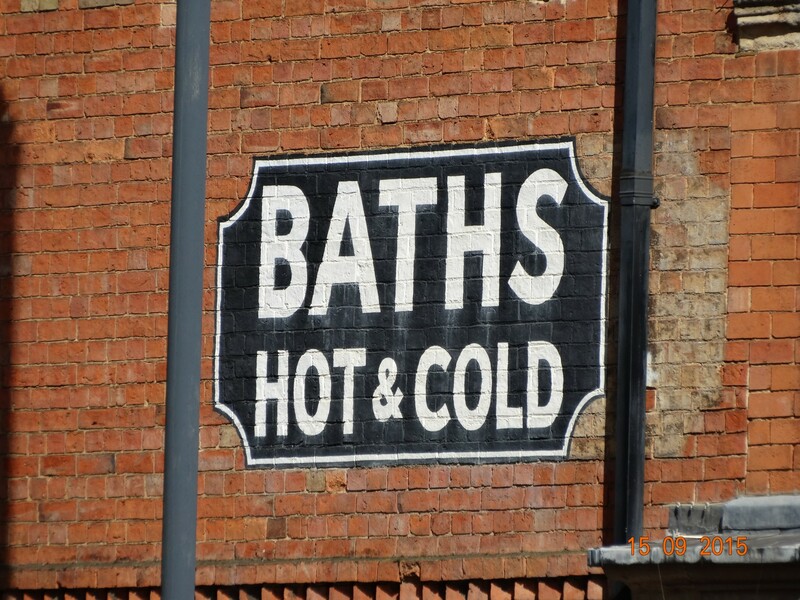 We didn’t realise this until we passed it. We had one boat ahead of us and one boat behind us, and no one coming downstream! Therefore the locks had to be turned each time. 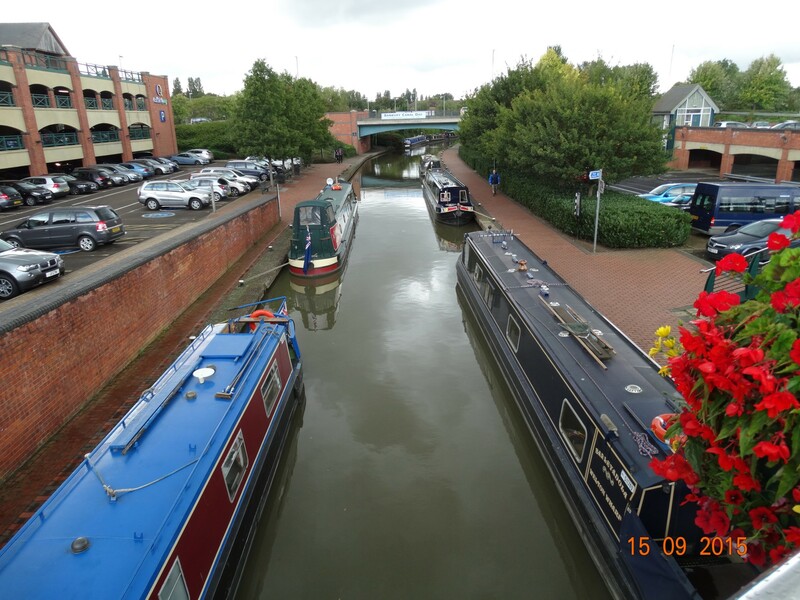 We managed to have lovely conversations with both boat crews whilst negotiating the locks. The couple ahead came from London, and the boat behind used to moor at Mercia marina, but had changed to Bosworth marina. Small world. we will stay here for a couple of days and get used to taking our time again. We can concentrate on Izzy training whilst it’s quiet. A work in progress as when she gets a scent she listens to no one. 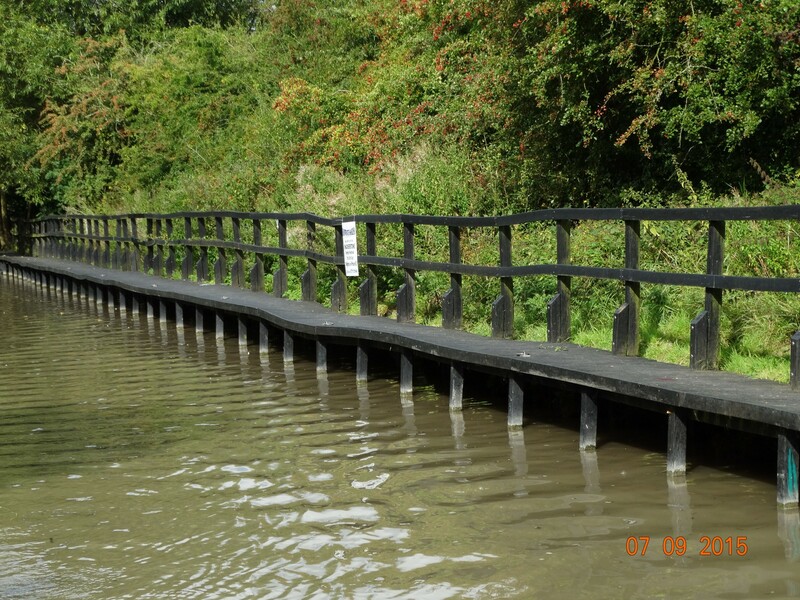 This bridge extends to the left as it also goes over the River Cherwell. Note Izzy off the lead. 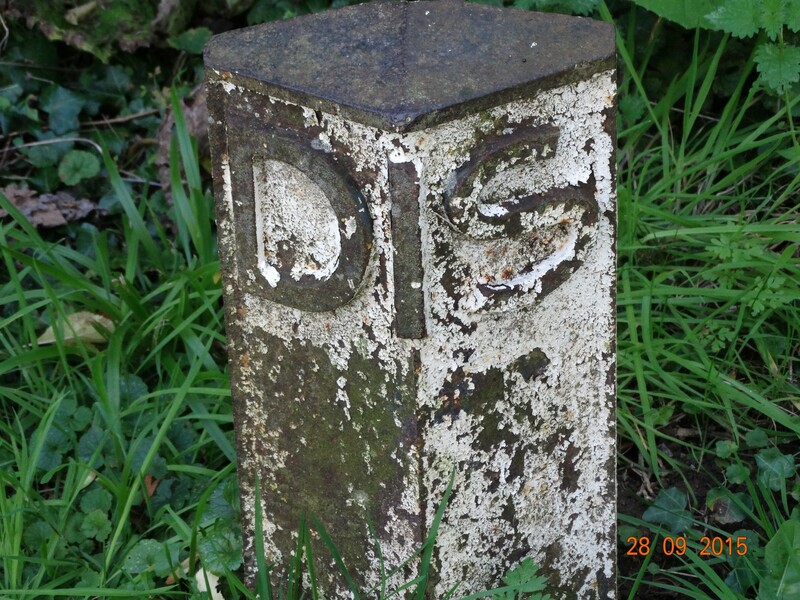 Along this canal are many marker posts with the letters DIS. Apparently I learned from another boaters blog we follow that they are distance markers from when the working boats were in abundance. 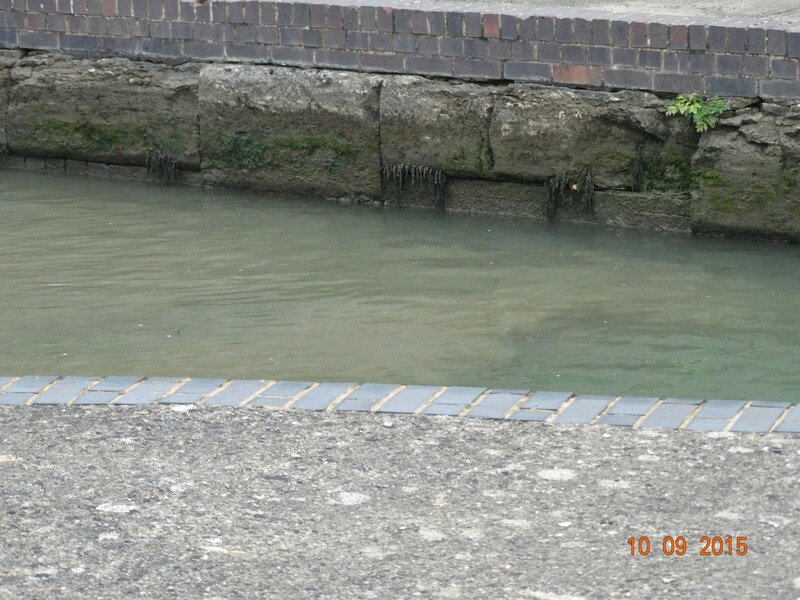 When a boat reached one they had priority at the lock. We have moored right by one, with a lock in sight. 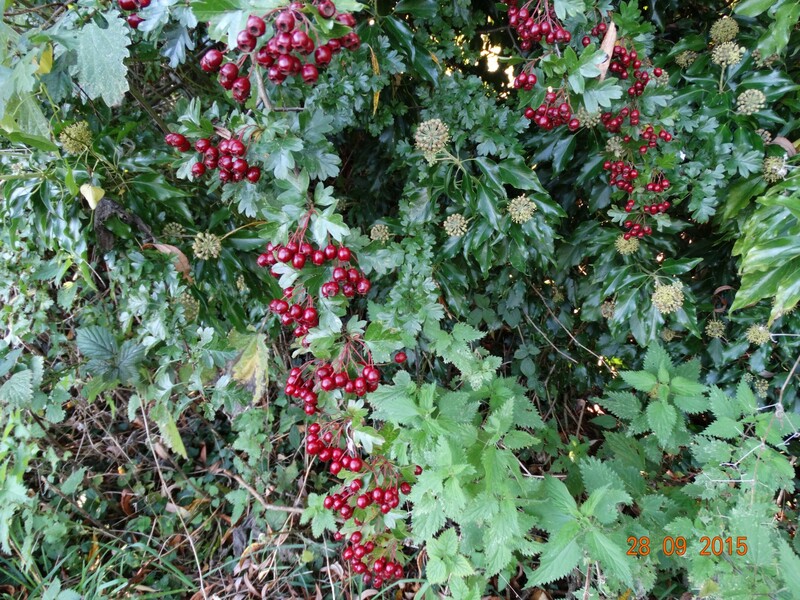 I took the following photo as it reminded me Christmas is coming and it looked very seasonal. 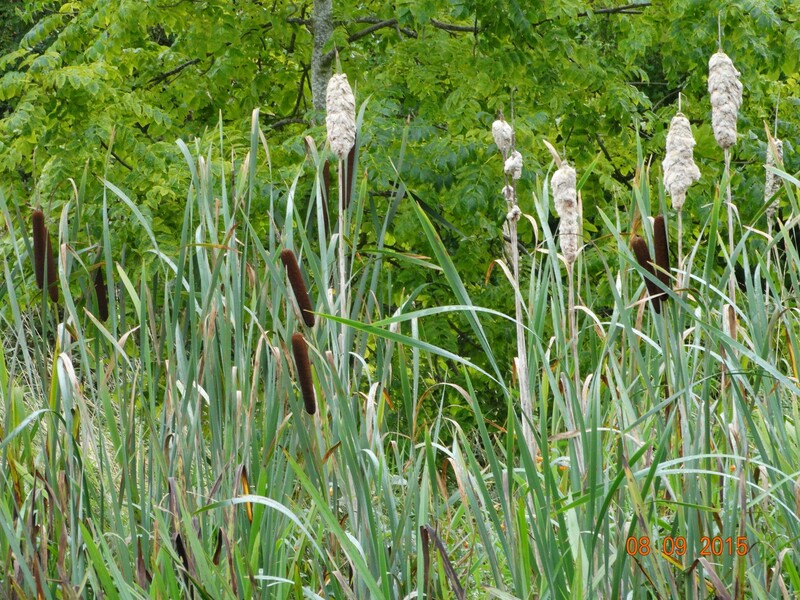 On my walk this morning I saw a heron, kingfisher and a pheasant., but didn’t have the camera with me. Today we are catching up with phonecalls as need to make appointments for dentist, doctors and hospital on our return to Cornwall. Although we are in a quiet spot we seem to have a very good phone signal. 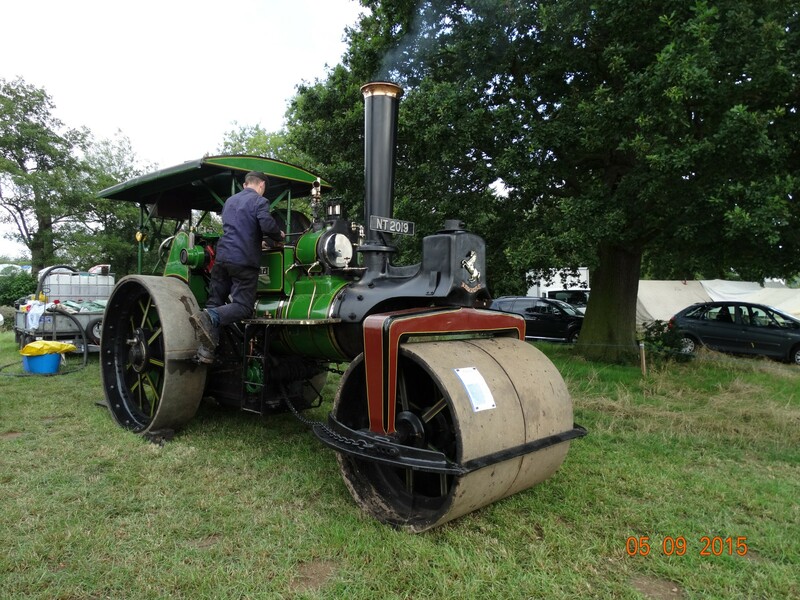 We are holding back a bit as don’t want to arrive at Banbury before Sunday as they have a canal day there and I expect it will be busy. 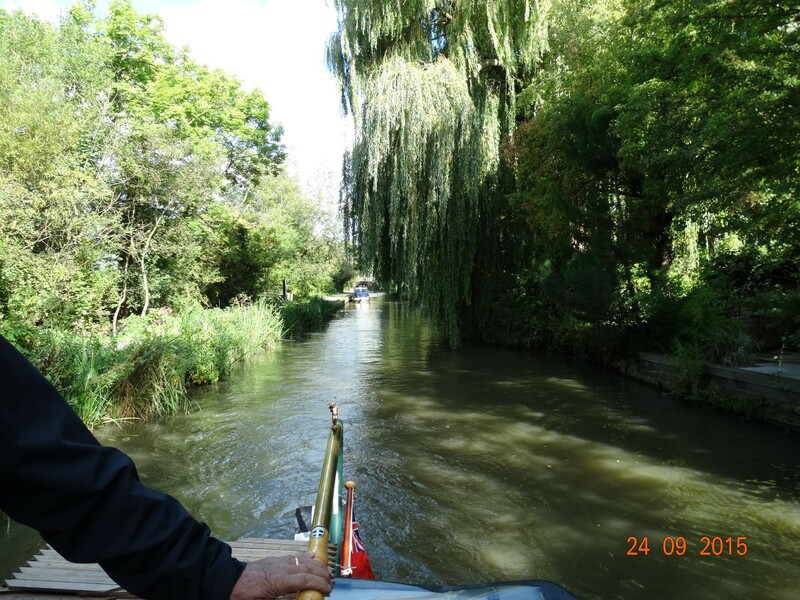 We left Thrupp yesterday morning and made our way to Oxford. It was a pleasant journey with no hiccups, and very little boat movement in either direction. Think things are quietening down now. 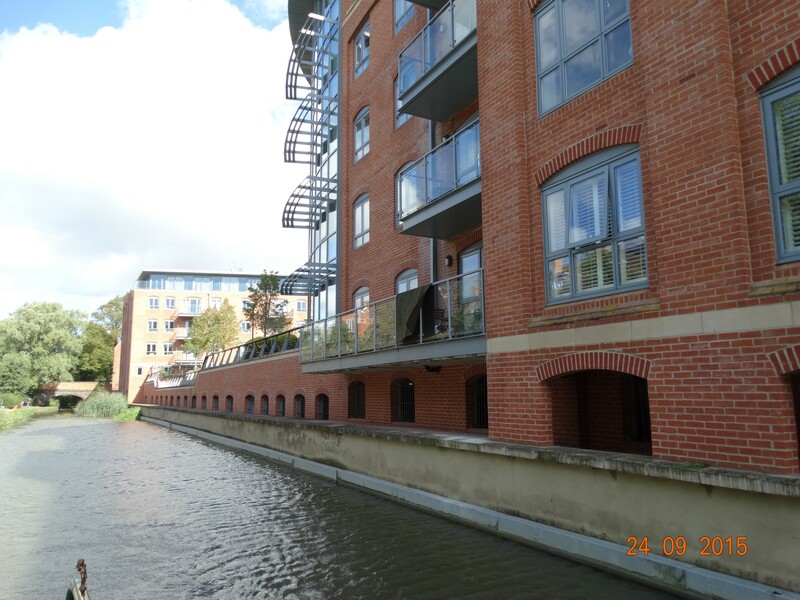 Prestigious development canalside. I wonder how much these cost. 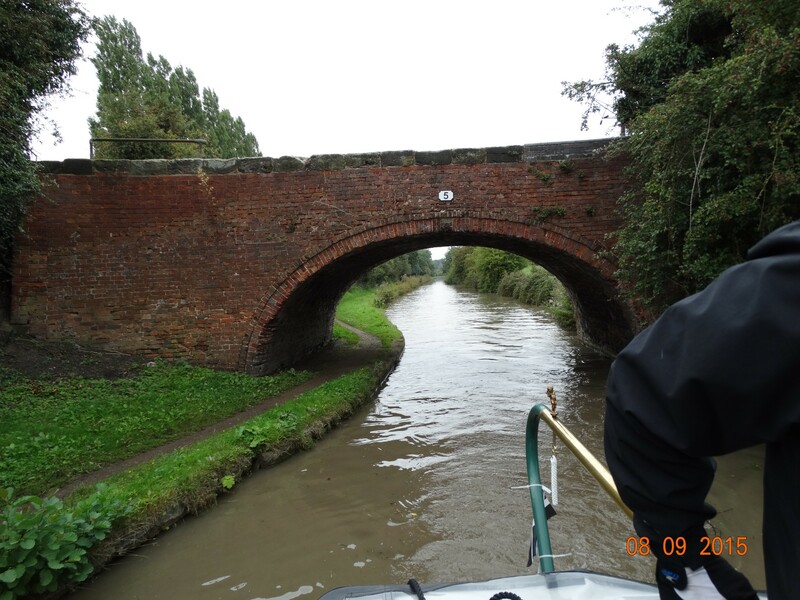 We went through the lock at Dukes cut, and carried straight on the canal. 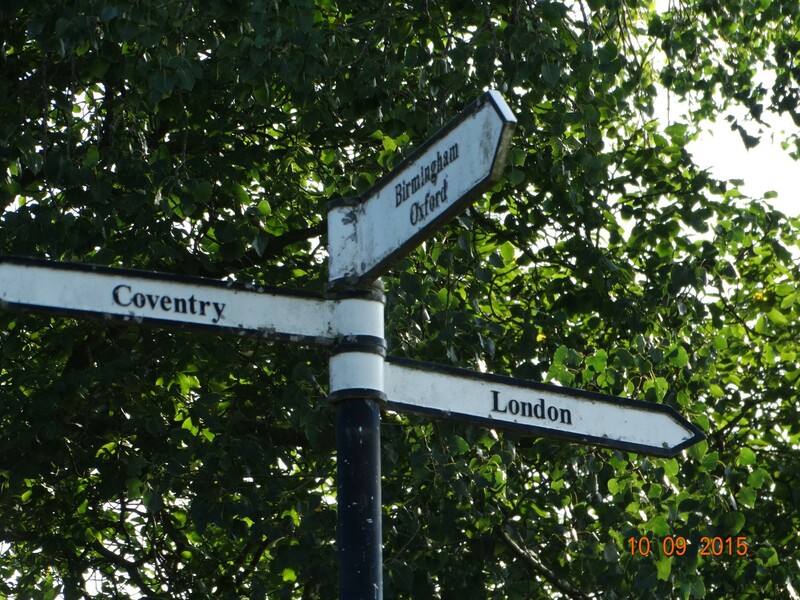 To the right is the turning for the River Thames. 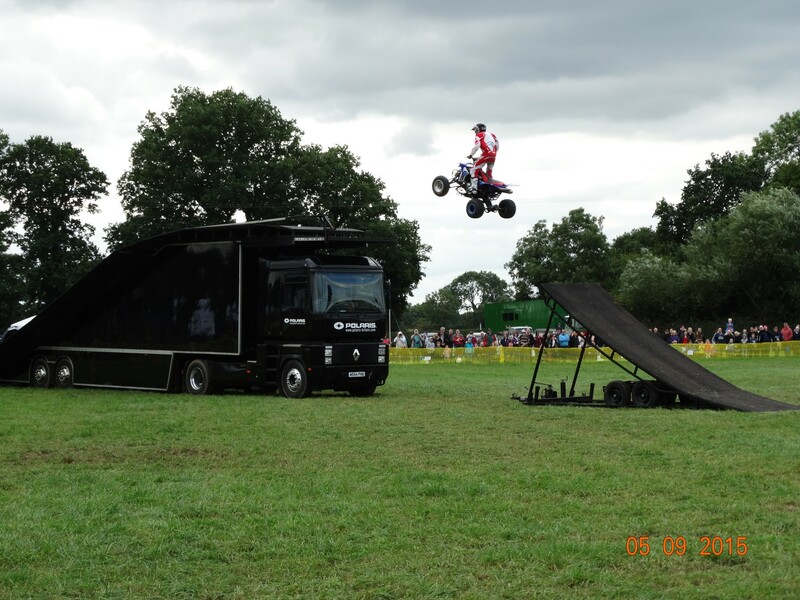 We don’t have a gold licence so can only do this stretch if we pay a visitor fee. We decided we would wait till we want to go on the Thames in the future. 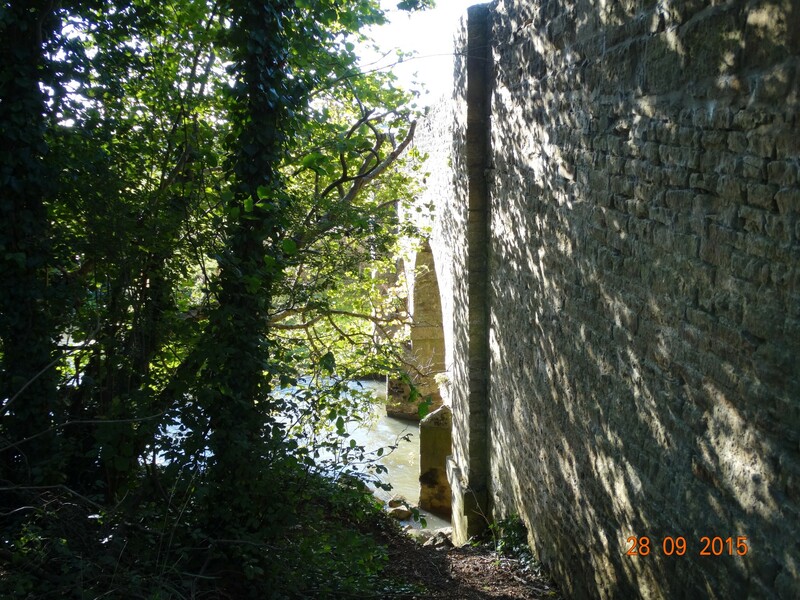 We knew there was a 50′ winding hole for us to turn at the end of the canal. In fact it stated 52′ on the noticeboard. Well when we got to the end and attempted to turn, we hadn’t factored in the fenders which obviously took us over the 52′ allowance. We had fun and games trying to turn and in the end gave up and had to go through Isis lock to wind in the 70′ space there. 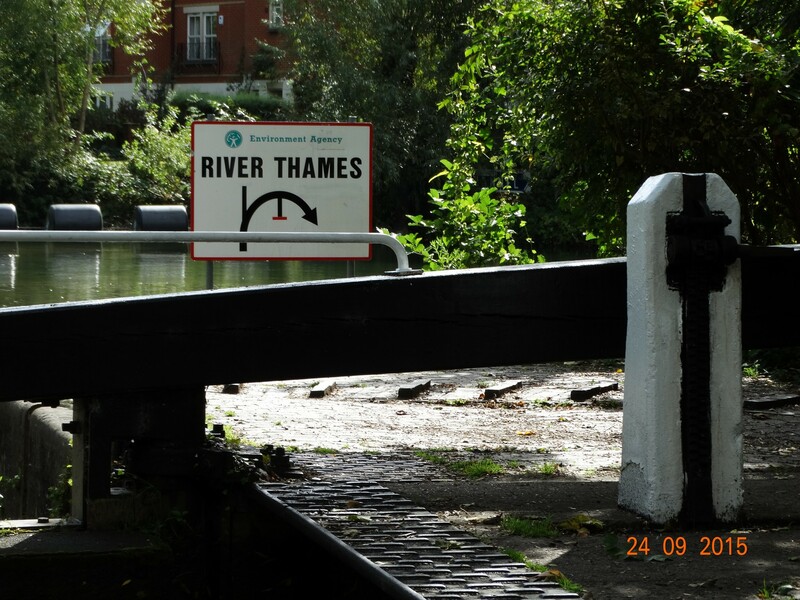 This also takes boats onto the Thames, so we had a brief encounter with the river. just in case anyone is unsure as to where they are going! We found a 2 day mooring that was slightly more shaded than we would like, with the railway station in sight. Thank goodness the trains don’t run at night. 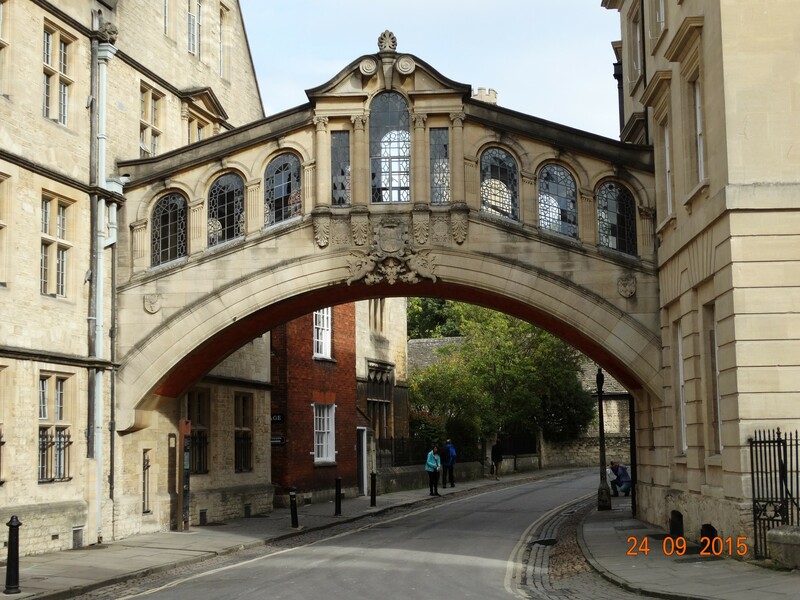 We had a shower and brief lunch and ventured into Oxford for a look around. We took many pictures of the old buildings that would be to many to put on the blog. More exploring to do. Today we made a packed lunch and headed for the museum of Natural History. It was very interesting and packed with lots to see, in fact too much to see in one day. Lots more pictures taken. Museum interior. Very elaborate with the original stems of the old gas lights still hanging from the ceiling. one of the exhibits. Wouldn’t like to meet one of them in real life. 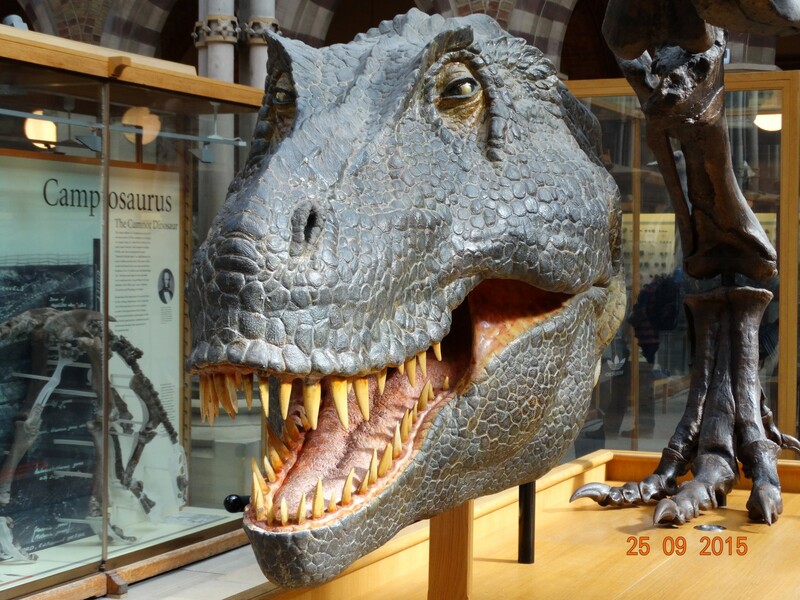 Most of the skeletons exhibited were casts of originals found locally and around the world. 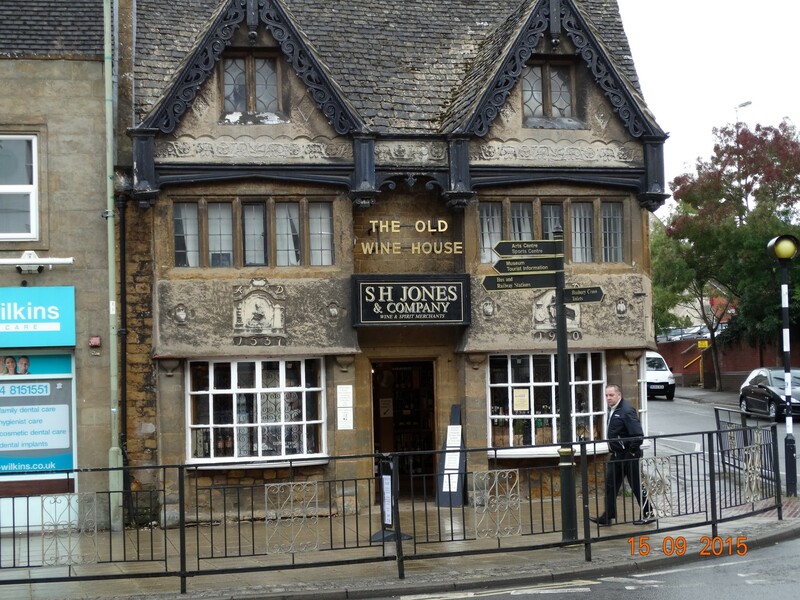 Apparently Oxfordshire was the first place in the world to have found dinosaur bones in the 1600’s. Other exhibits were telling of the earths geological history. We had to take a picture of this, as it is local to us in Cornwall. 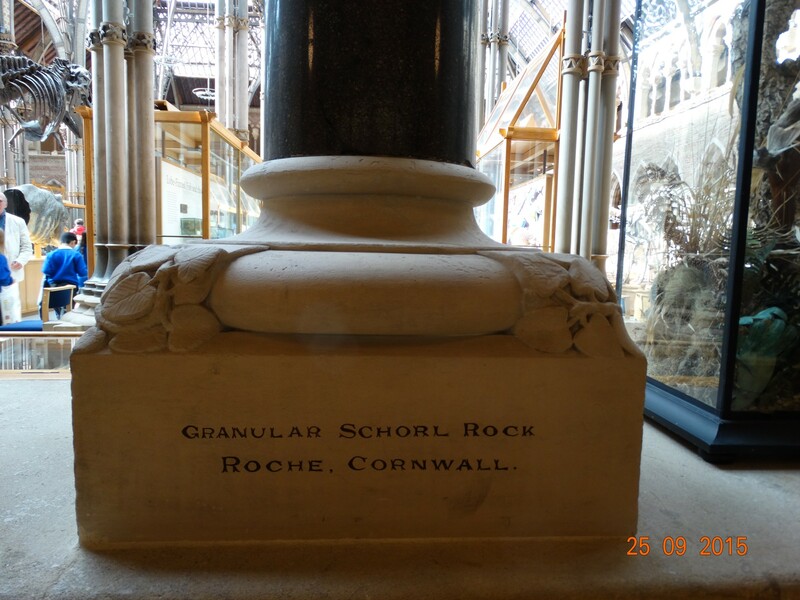 The many pillars supporting the building were all made from geological stone from around the country. We had a very interesting few hours looking around. 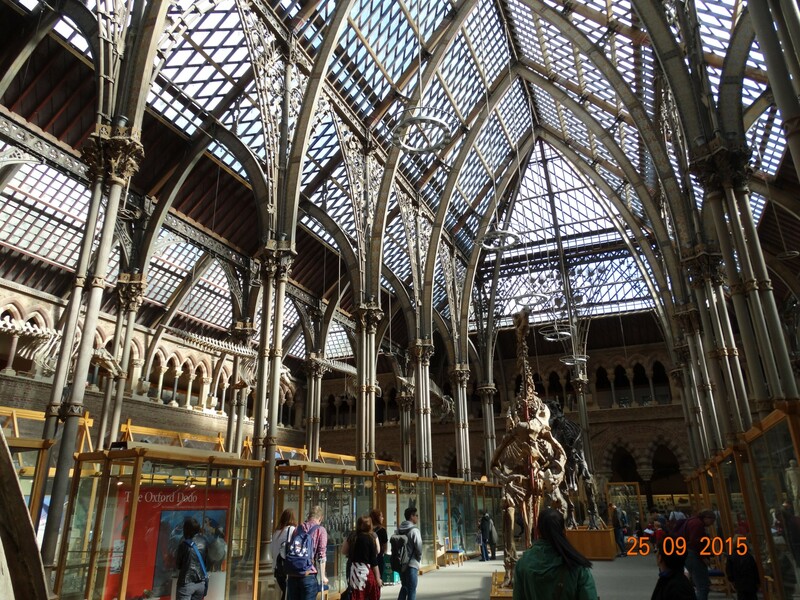 We then glanced into the Pitts Rivers collection (same building), and ventured along to the History of Science museum. Many of the colleges are open to the public, but most incur a charge. Maybe another time! A stop in Tesco in the town to top up on fruit and veg, then we will have to move tomorrow and head back in the Thrupp direction. Saturday evening we met with Debbie, Mike and crew at the Rock of Gibralter pub. We had all looked at the menu online and decided it looked reasonable. When we actually got there, the menu was quite different, and we were told the online menu was from previous tenants and they couldn’t erase it! Anyway we were shown to the downstairs room and chose our meals. The meals were nice and reasonably priced. The barman however a tad strange to say the least. Sunday we decided to stay put on our mooring below the lock. Debbie passed and stopped to view our humble abode, then they went on to Oxford. 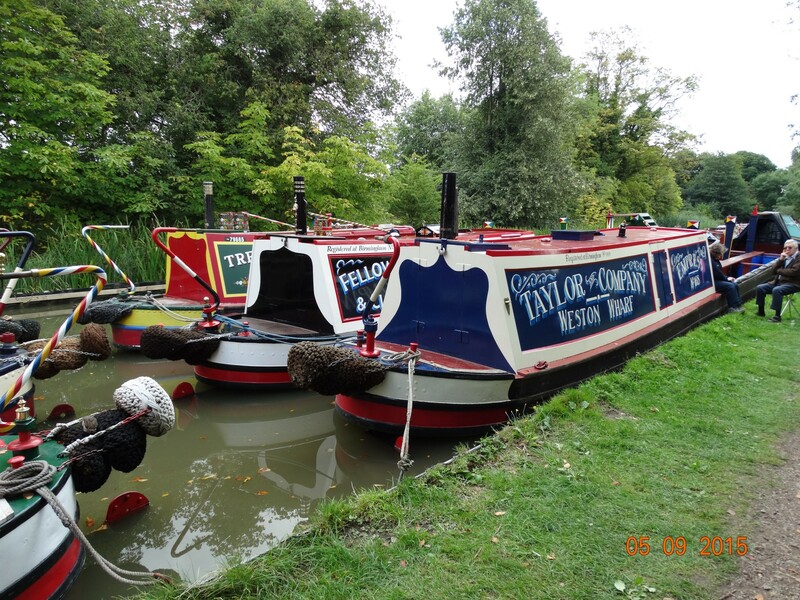 It turned out to be a very interesting Sunday as all the hire boats from Lower Heyford were coming back. At one stage there were 4 waiting at the lock, and we had a private boat breasted against us also waiting. The hire boats however were now on diet coke, and not the beer we saw on Friday. 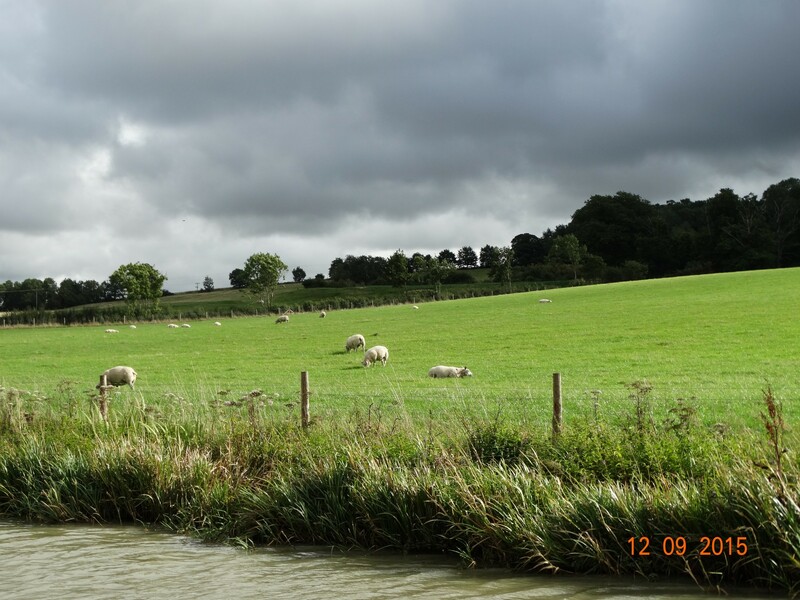 The view from our mooring at the lock on Monday morning before the rain arrived. 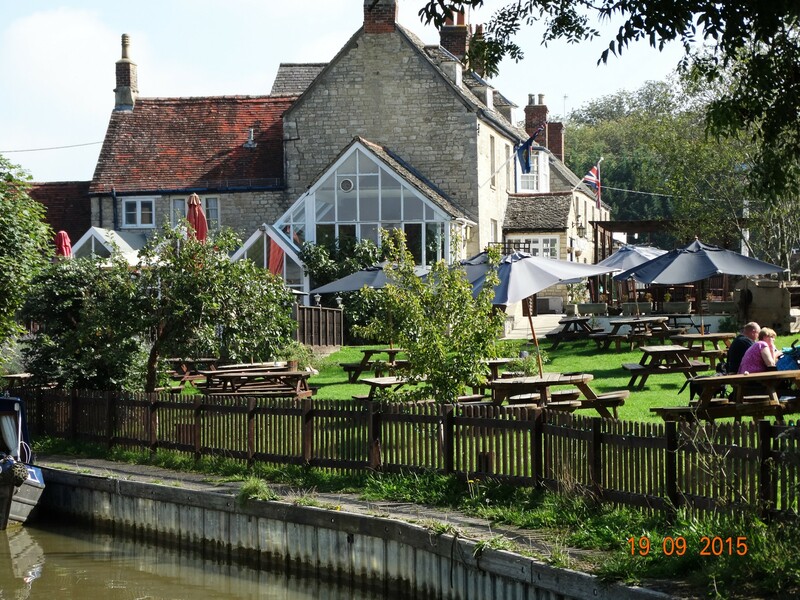 Monday we moved to Thrupp, and we were going to meet Debbie again here as they were overnighting before travelling to Aynho. We had one lock to do (another diamond shaped one), and a liftbridge. The liftbridges are interesting in that you have to pull down on a chain and then keep your weight on the beam until the boat goes through. This I did and as we had pulled onto the landing for me to get off, we noticed another boat coming in the opposite direction so we let him through first .We managed to get almost to the sanitary station before it poured with rain. We’ve managed to dodge the rain mostly till now. 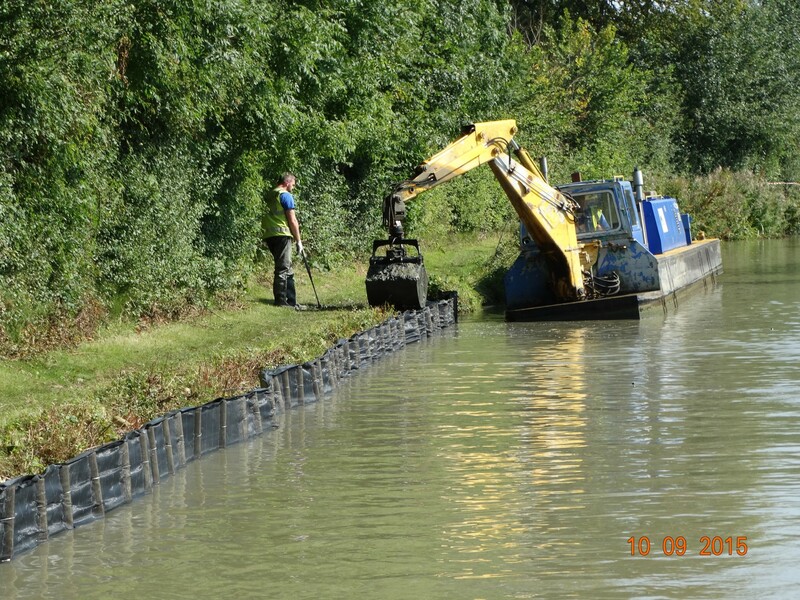 We filled with water and emptied rubbish and did the elsan business. The sanitary station is the prettiest we have seen so far and very well kept. 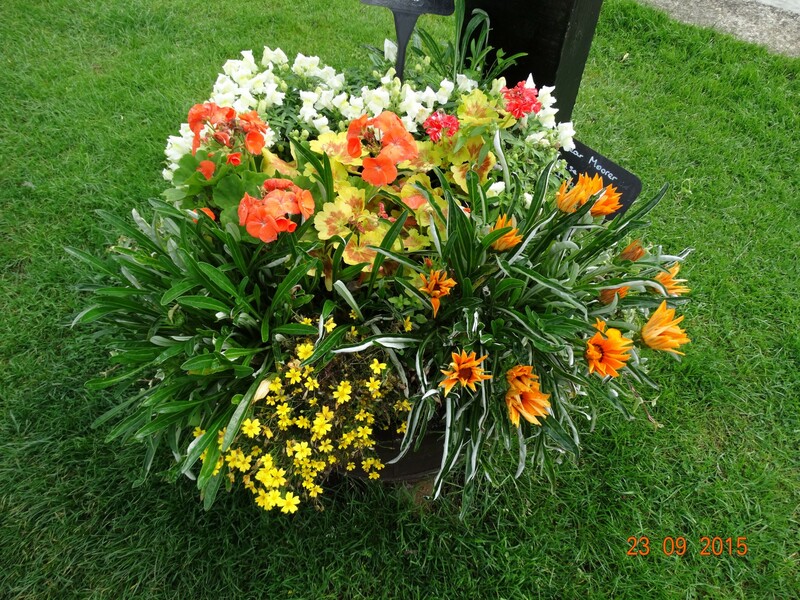 There are also tubs of flowers that are sponsored by the private moorers here. The lift bridge is electrified here which was quite welcoming after the last bridge. We found the visitor moorings here quite empty. Probably because all the occupants were the boats that went back on Sunday. We met up with Debbie and Mike in the evening and had drinks on our boat, and chatted about work and also boating. Quite a late evening for us, but very enjoyable. Today we waved goodbye to Debbie, and probably catchup again in Cornwall when we return. Today it has been wall to wall rain. We were waiting for the fuel boat Dusty to arrive. 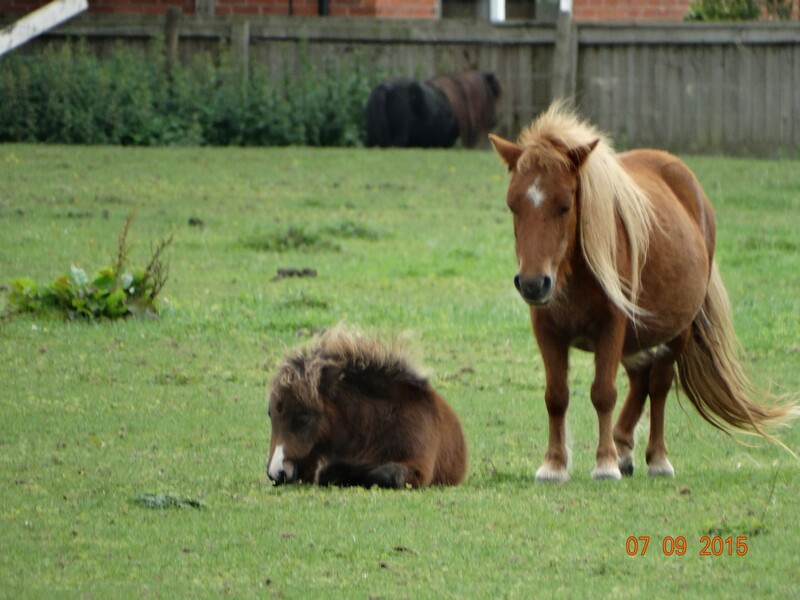 When I took Izzy for a walk they were moored awaiting a coal delivery. I told them where we were, and after they had loaded they made their way to us and we filled with diesel (quite a big amount this time). It was pouring with rain now. 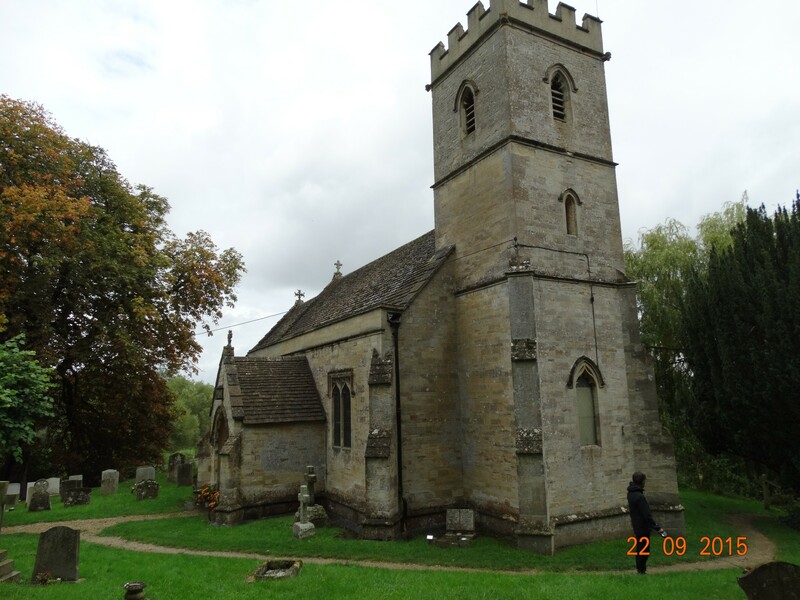 After dinner we took Izzy for a walk to the church at Shipton on Cherwell, which was just up the towpath. Charlie had a chat with a fisherman, and we had a look around the churchyard and small church. It was a lovely church in a lovely position. apparently there has been a church on this site since medieval times, but the current church was rebuilt in 1834. 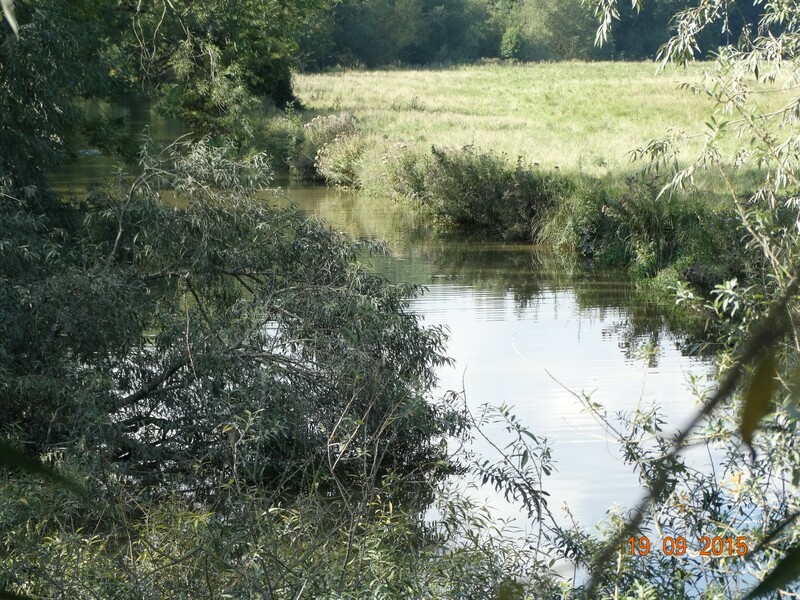 We walked back to the boat along the other side of the towpath through what looked like a nature reserve or similar. All in the showery rain. Sun is shining now but it is still raining. We may stay here tomorrow to watch rugby, as these are 7 day moorings. 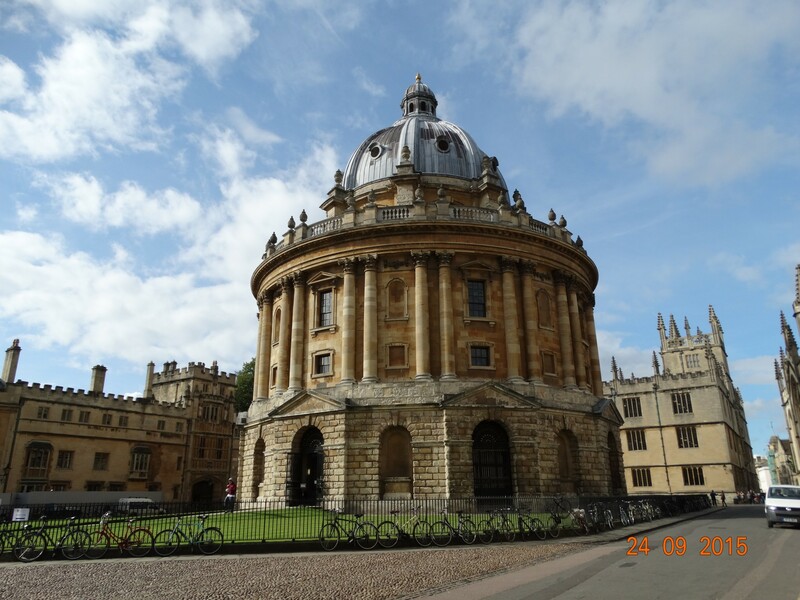 Then it will be off to Oxford. 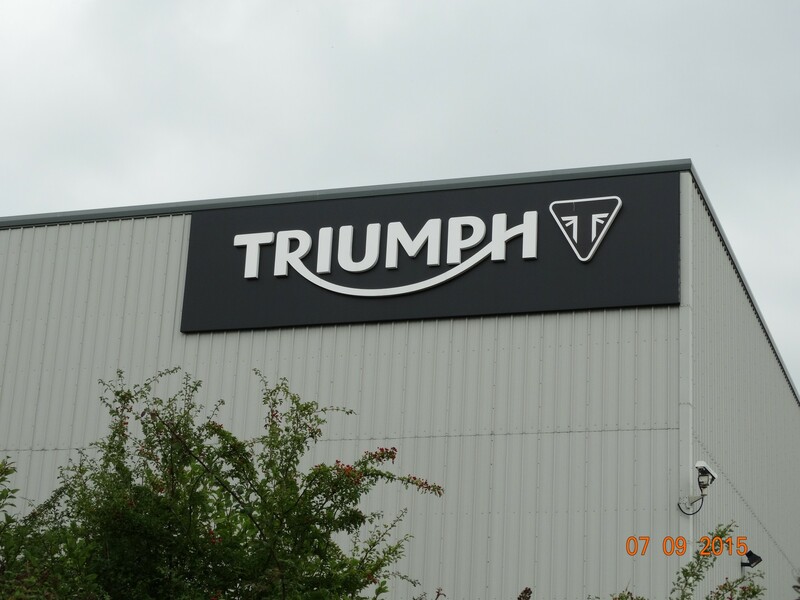 We left Banbury on Wednesday with an early start and headed for Aynho. Under the M40. The liftbridges so far have been chained up, as seen in the distance. 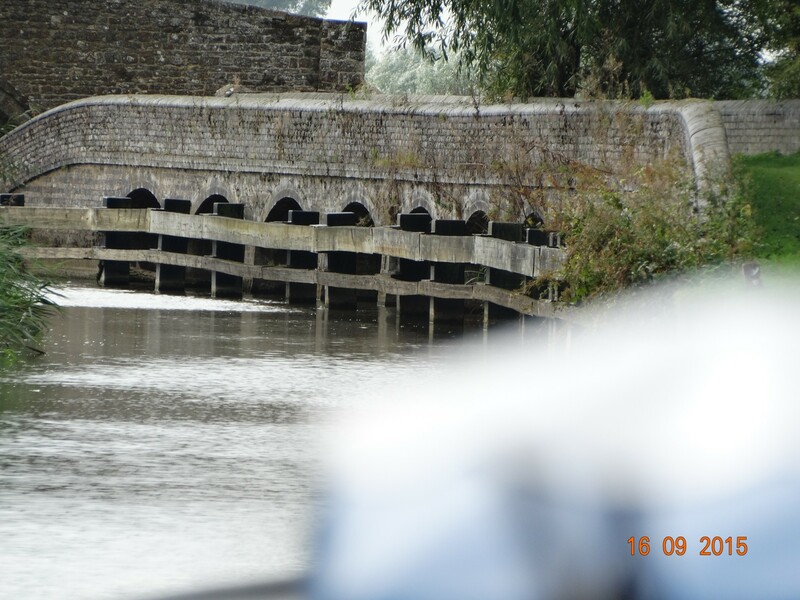 Aynho weir where the river chanel runs directly over the canal. 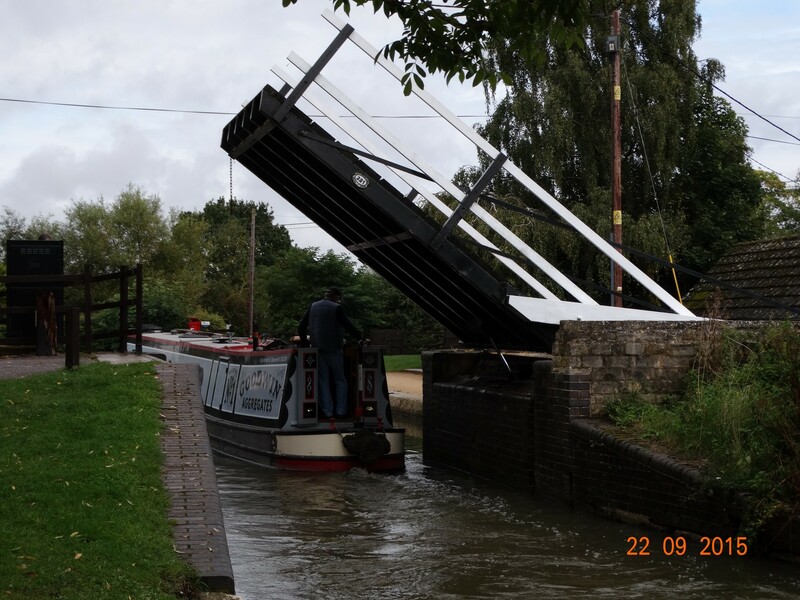 This is followed by Aynho weir lock which is a diamond shape. 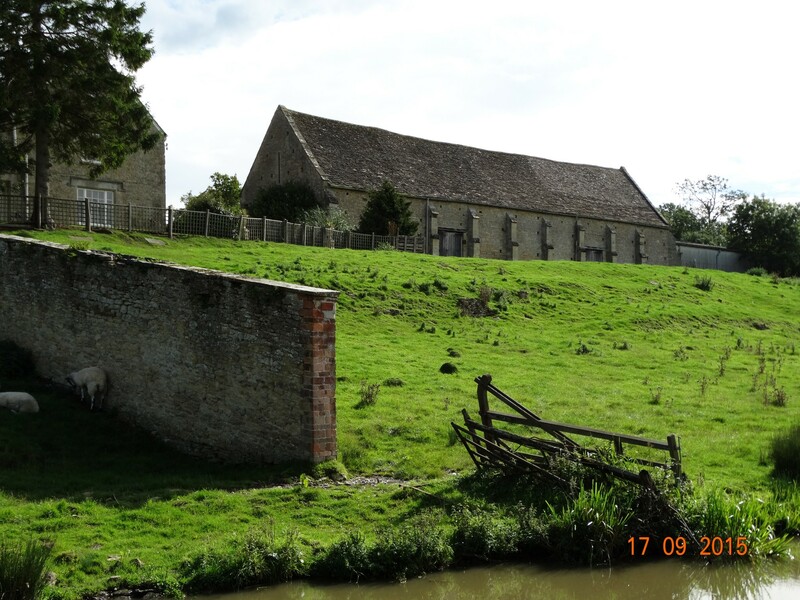 It only rises and falls 12″ but acts as extra capacity for Somerton Deep lock which comes next after Aynho Wharf. 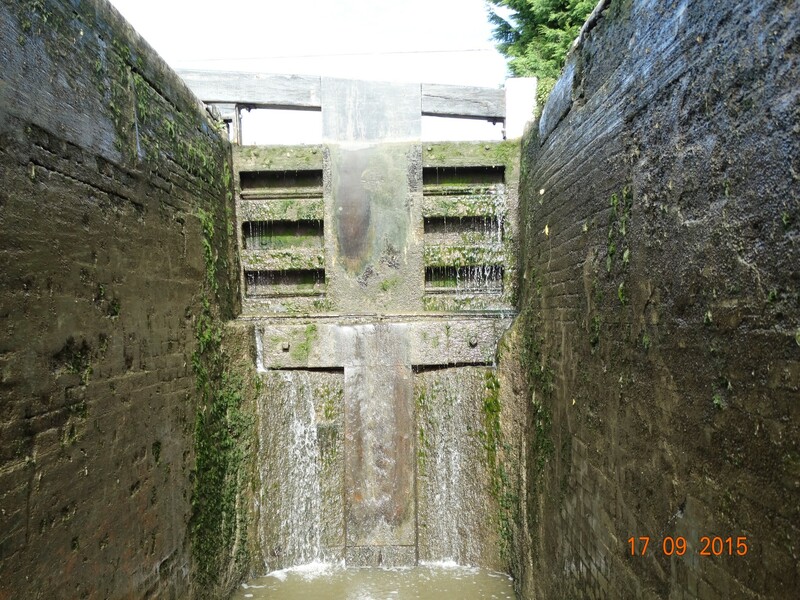 Somerton Deep lock which is 12′ deep. 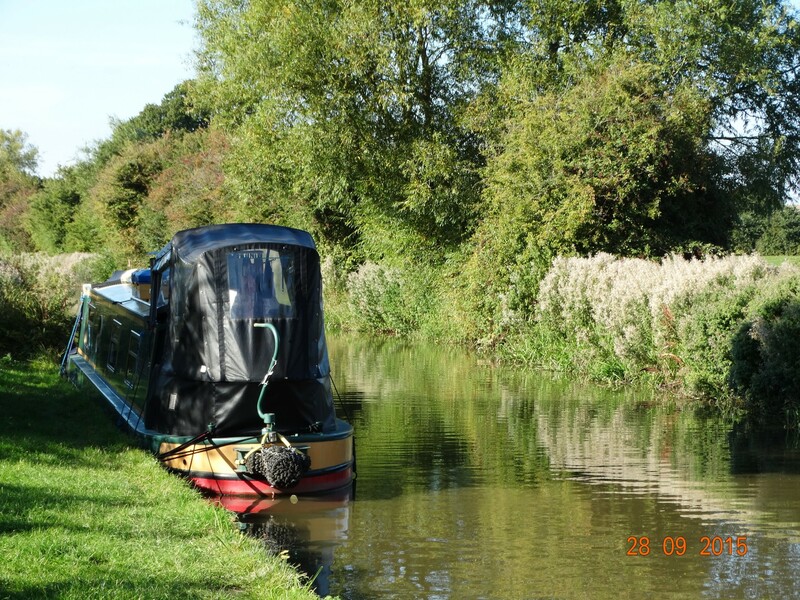 We moored for the night just before Aynho Wharf. 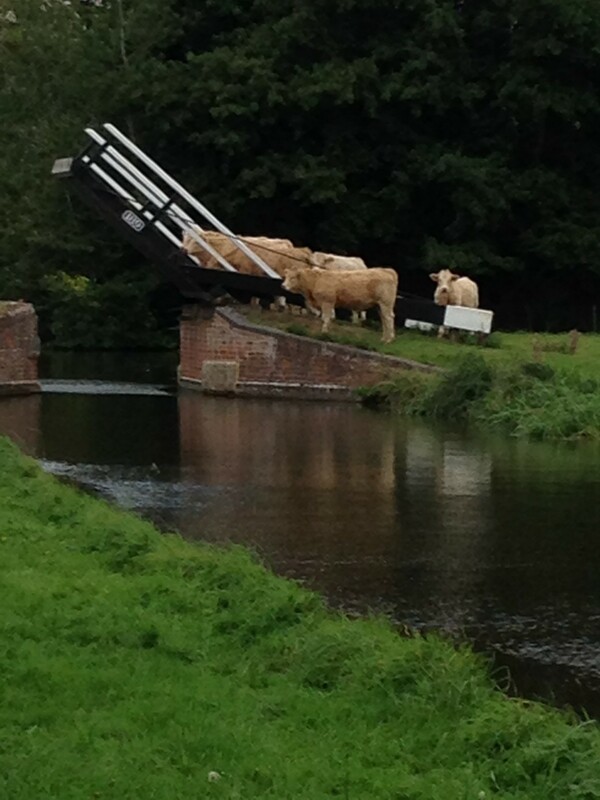 The cattle in the opposite field decided to call to their friends on the towpath side and it looked like they were waiting to cross the bridge. 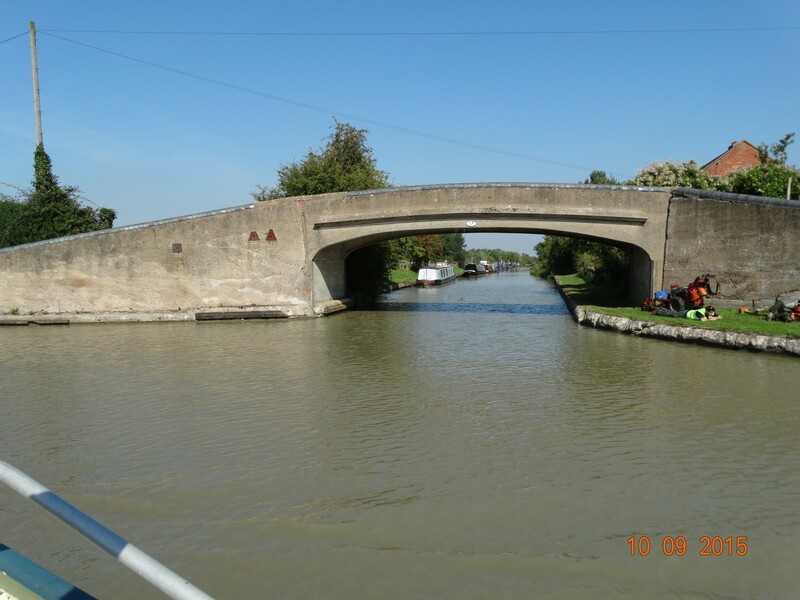 We set off on Thursday for Lower Heyford. 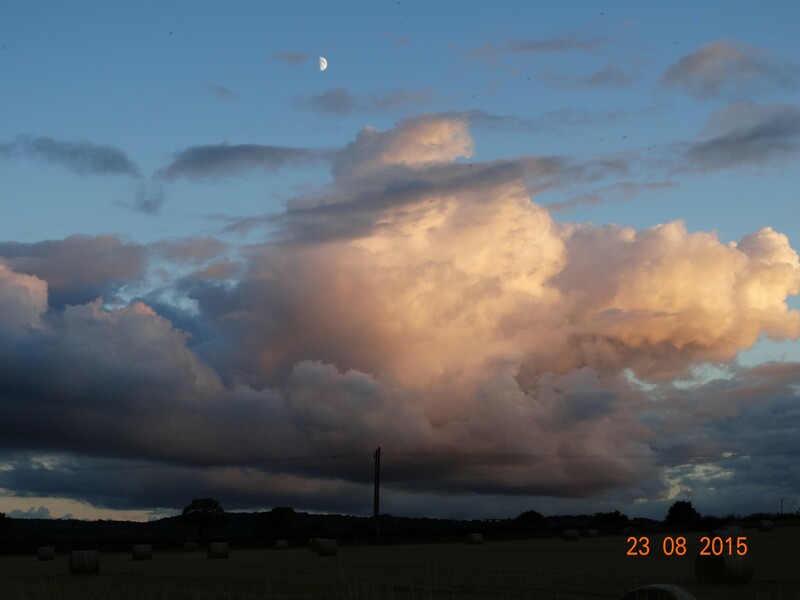 We have been lucky so far and been moored before the rain. We were meeting boats now to-ing and fro-ing. At Somerton lock we met a boat coming up. 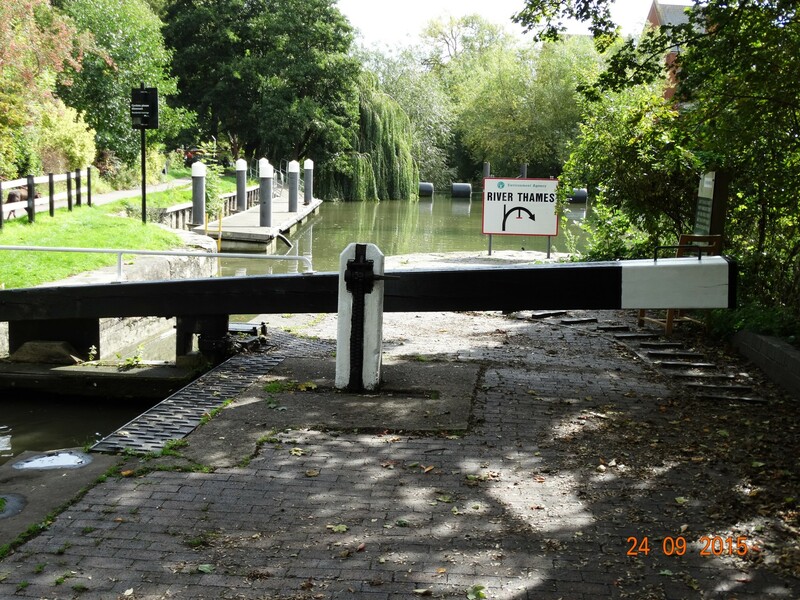 The bottom lock gates since Banbury have been single and very heavy. At Aynho weir lock it took both of us to push the gate open even though I had had my Weetabix! This one was no exception. The top paddles were very stiff also and neither myself or the other boater could move them. I came to the rescue with my Lockmaster windlass (my retirement present and until now not used). Well what a difference it made. I had them open in no time and greatly impressed the upcoming boat, who had never seen one. 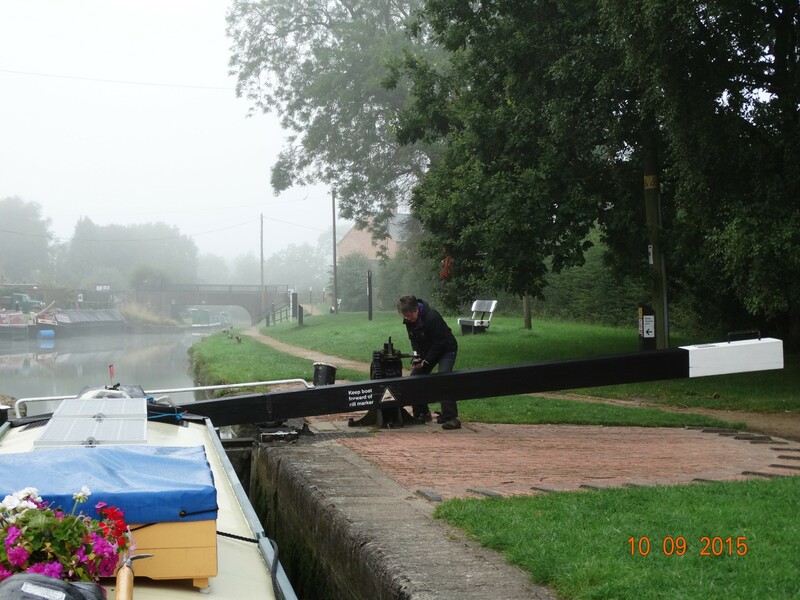 Misty start today and doing quite well until we got to the first lock, and as I alighted I caught my foot on a fender rope and fell flat on my face! Luckily no harm done and no one watching! 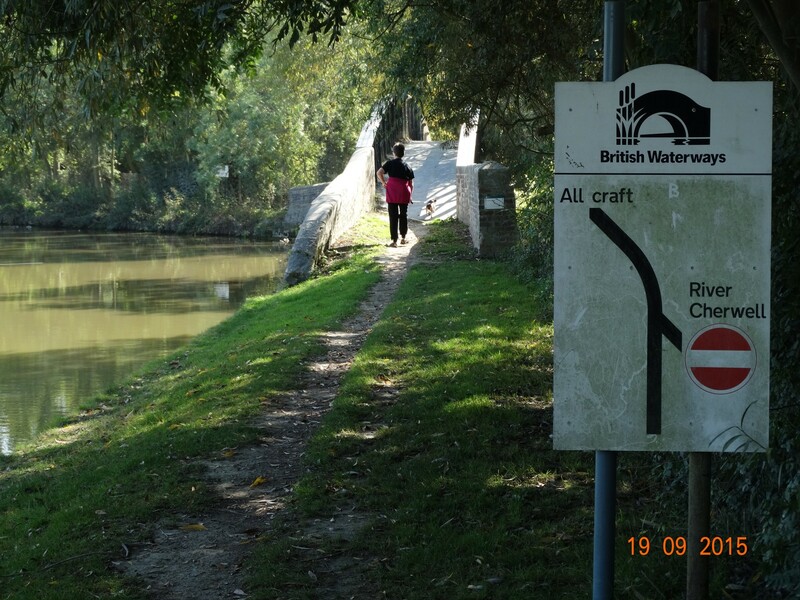 So we have ended up just before the River Cherwell meets the canal after Bakers Lock. We are meeting up with an ex work colleague of mine who has hired a boat from Little Heywood. 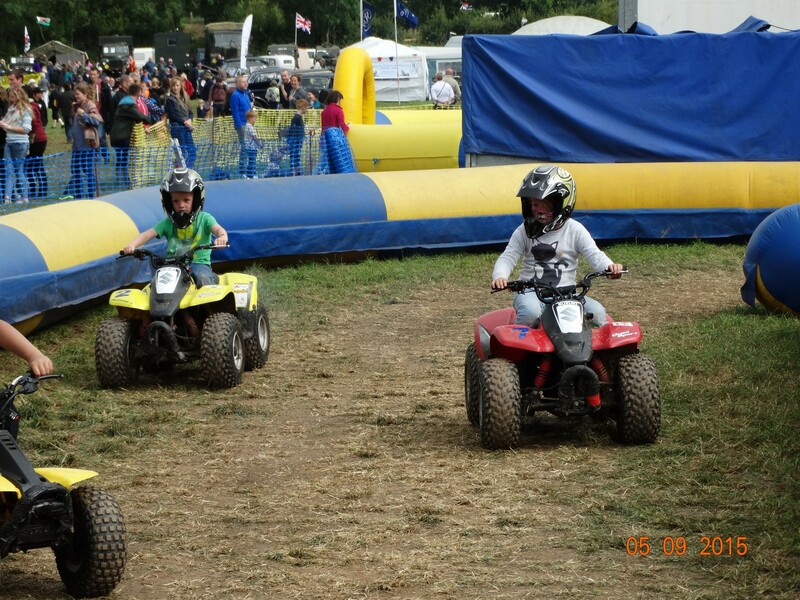 Lets hope they can find a space to moor. 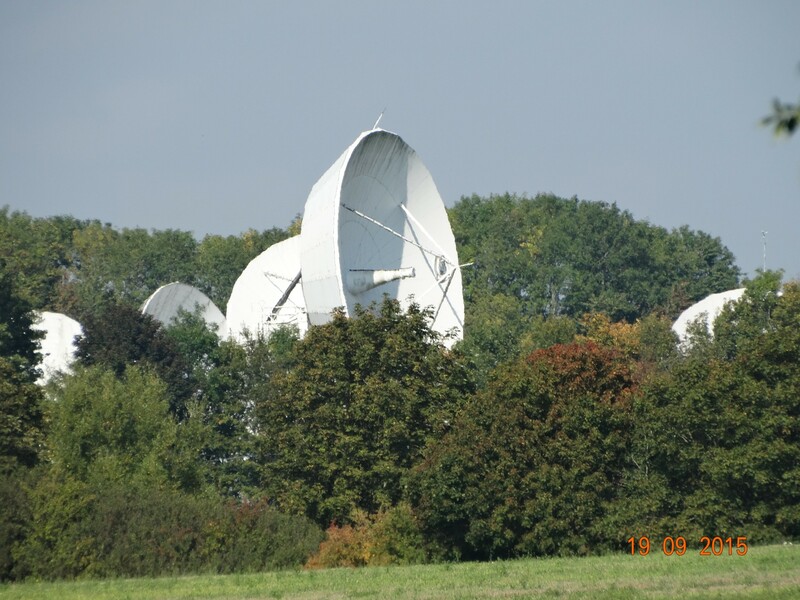 The satellite dishes are rather large this way! Lots of hire boats out and about and many this weekend have groups of lads on them with beer in abundance. One went past so fast the wake was immense. I do hope we don’t have to pass them when they come back as we may end up on the bank. 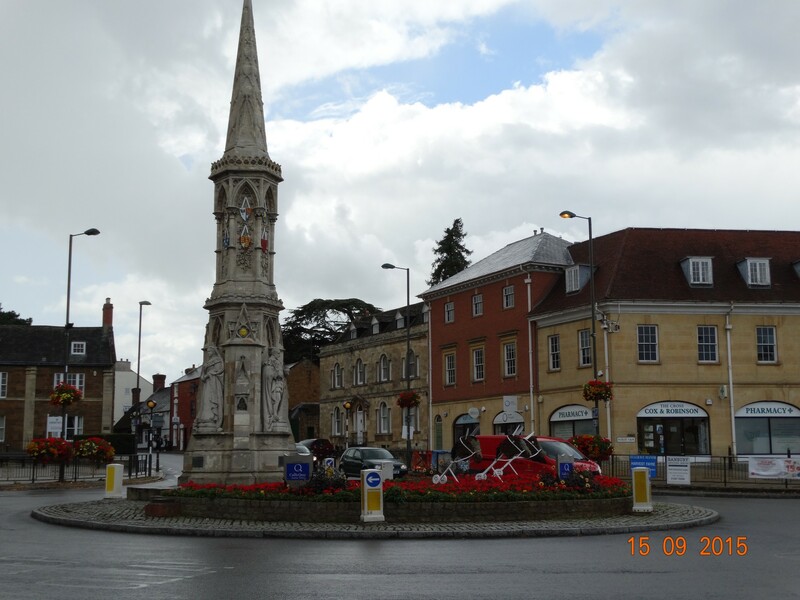 We reached Banbury yesterday and it has been raining on and off since. 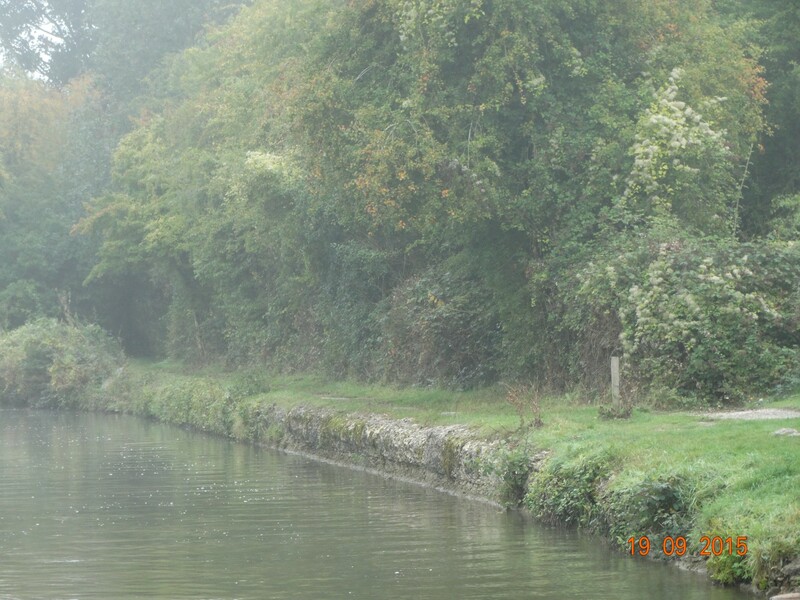 We have stopped on a 48hr mooring by an industrial estate, though can’t see it for the trees. It was handy there as we needed Maplins that was in an out of town development, and Aldi was also nearby. Shopping topped at a reasonable price. We may stop again on the way back. 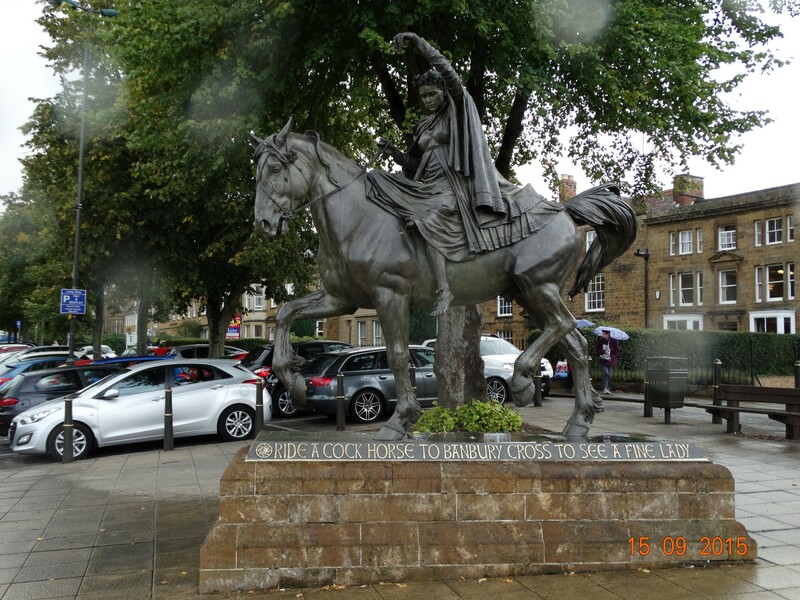 We went into town today for a look around. 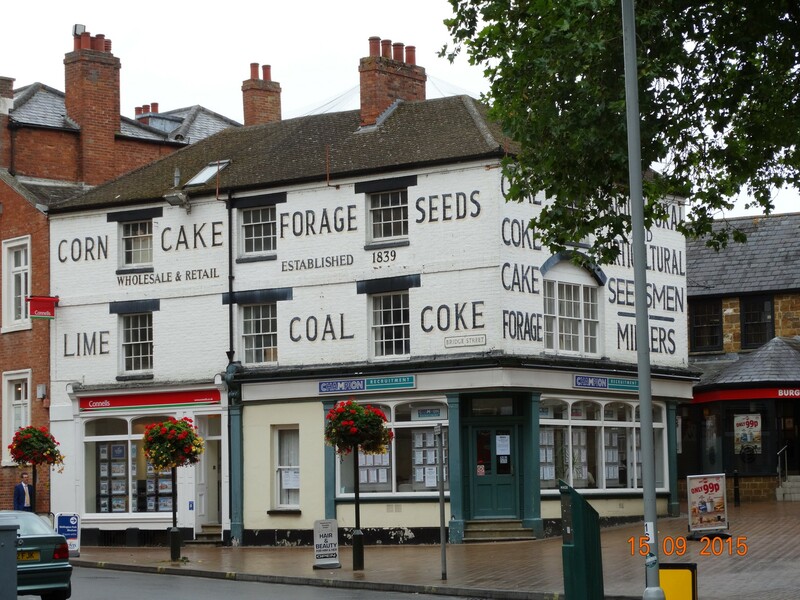 I had hoped to purchase some Banbury cakes (their delicacy), but no bakers shop here! 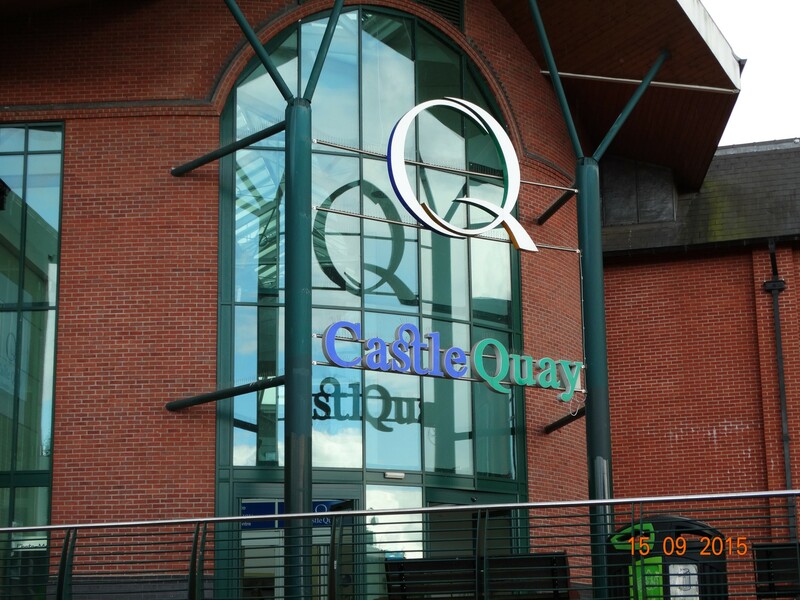 The castle quay shopping complex is right next to the canal with all the usual big name shops. 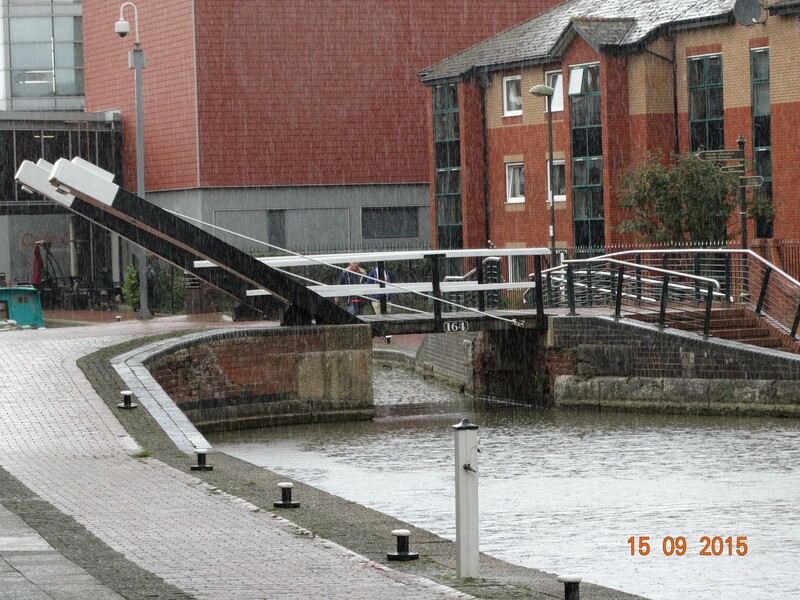 There are plans to expand this to the other side of the canal and incorporate a cinema, so watch this space. In the mall is the tourist information and a museum (free) telling of the towns history. Well worth a look. 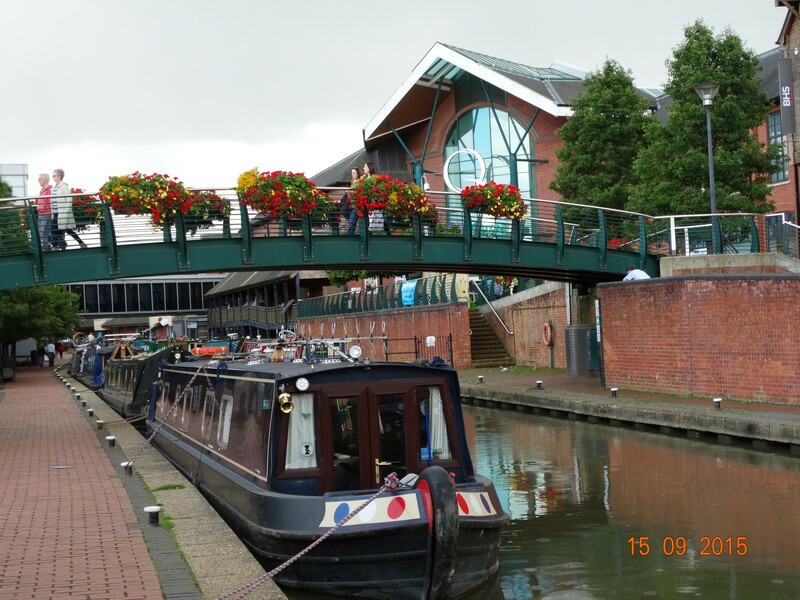 Lift bridge in Banbury which is followed by a lock. 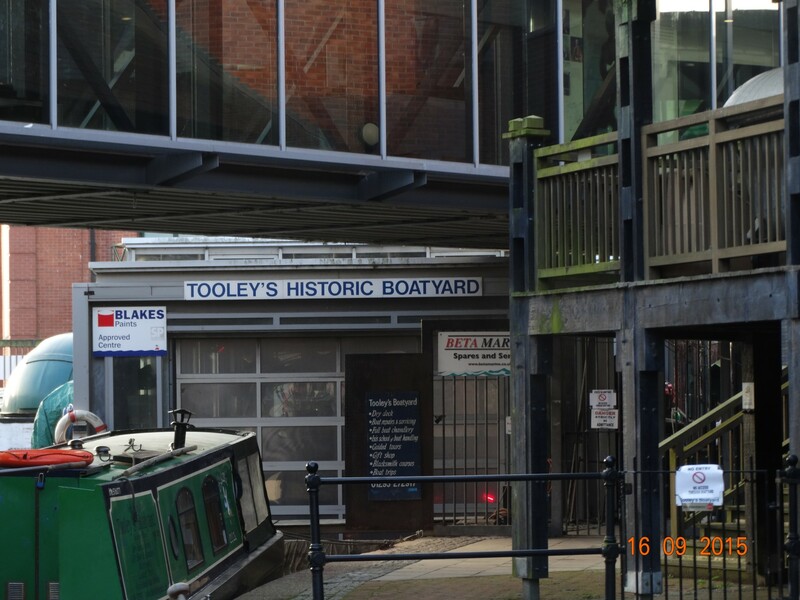 Tooleys historic boatyard is here also. As you can see from the picture above it was raining on our sightseeing tour! View from the bridge of the very popular quayside moorings. We may stop here on the way back if we can. 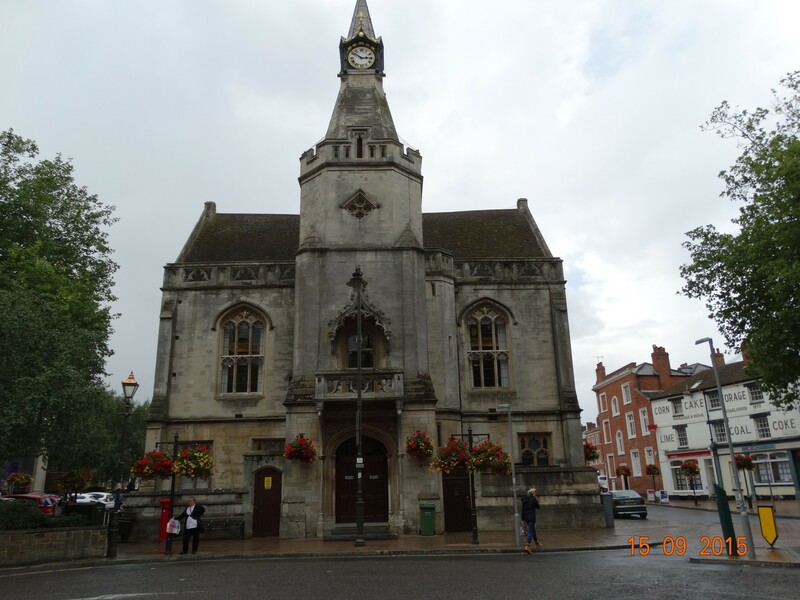 Tomorrow weather permitting (as strong winds and heavy rain are forecast) we will leave Banbury and see how far we get before we either get fed up or weather turns in. 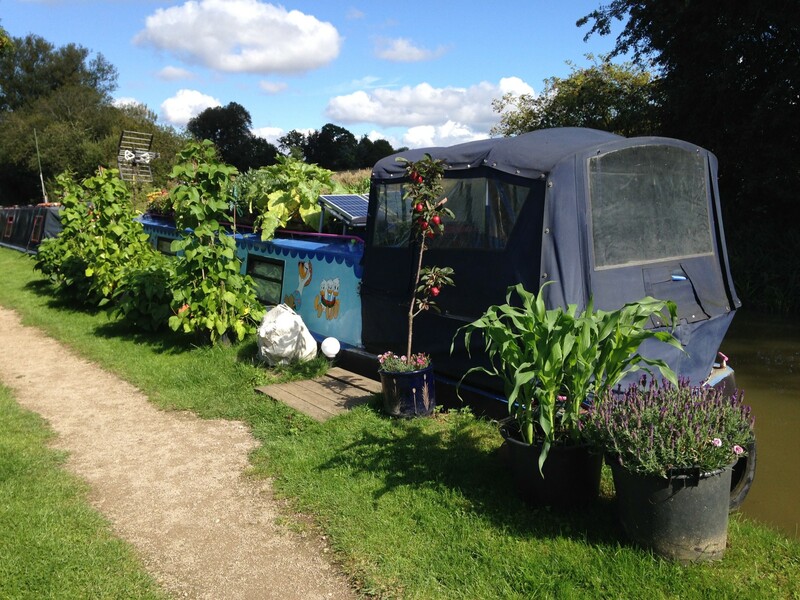 and also the passing of a dutch barge style narrowboat, which we looked at in awe as it was the one we wanted to buy when we first started looking. The name made me chuckle though I wish I had the camera to hand; it was Bradycardia. My medical friends will know what this means. 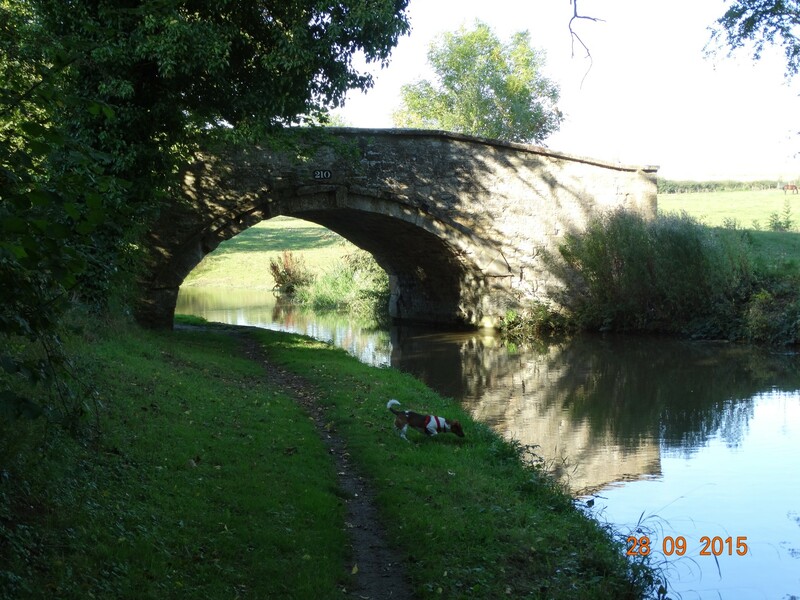 Anyway today we left our lovely quiet rural mooring and headed toward Fenny Compton. We needed to stop at the marina’s chandlery there as we needed more engine oil to top up from the oil and filter change Charlie had done a couple of days ago. 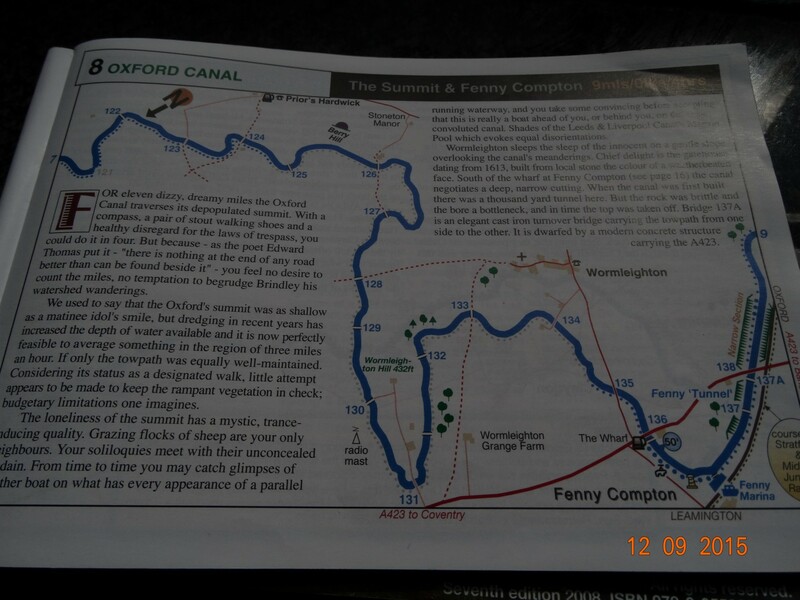 The canal is very winding along this way, and the only way to describe it was to take a picture of the map. Winding along down and then up again. 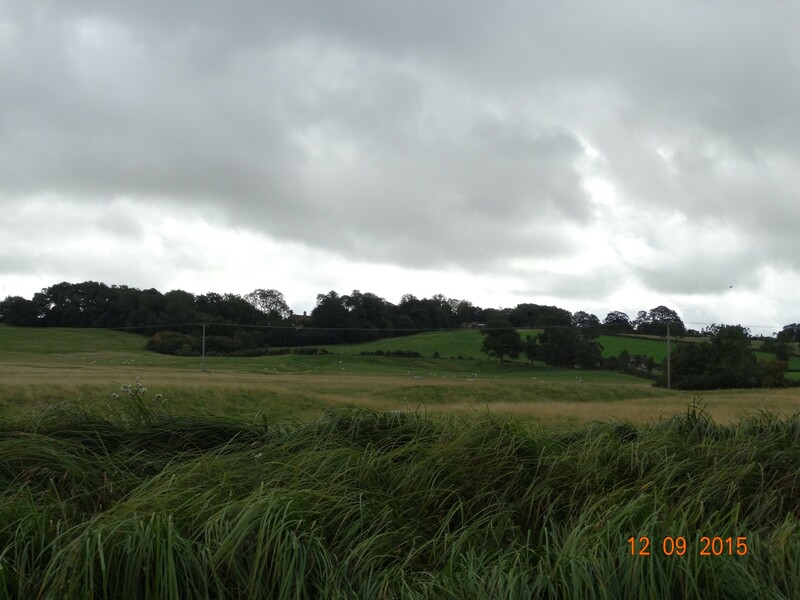 and also the site of a medieval village at Wormleighton. The land is undulating here with many ridges and furrows. 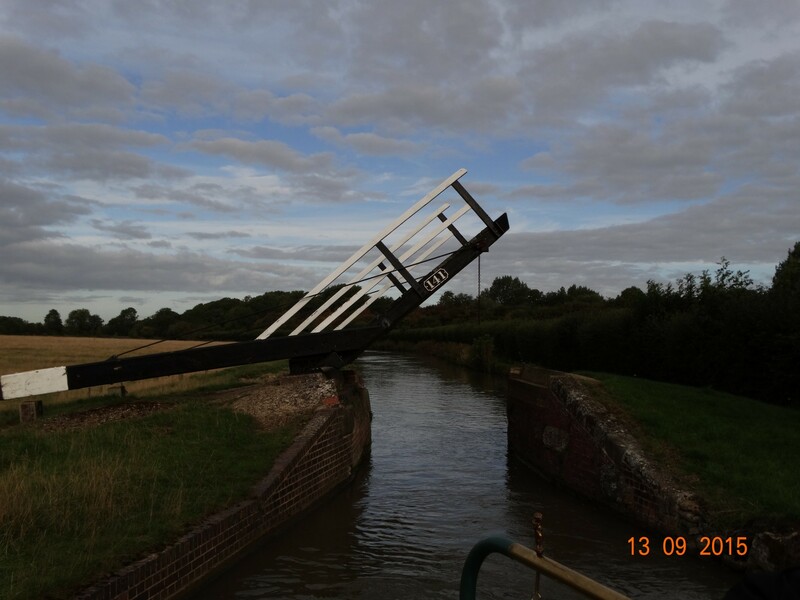 We left Hillmorton early (7am) on Thursday to get through the 3 locks there, as one of the doubles was out of action and it had been incredibly busy the day before. We have travelled more miles in the past couple of days than we usually do, and now are feeling very tired because of it. One of the pounds between the locks was very low and we were worried we may get stuck. Lots of boats had come down but not many up, luckily we made it through. Alot of the fields along this route are ridge and furrow; remnants of times gone by when peasant farmers were allowed a furrow to tend. 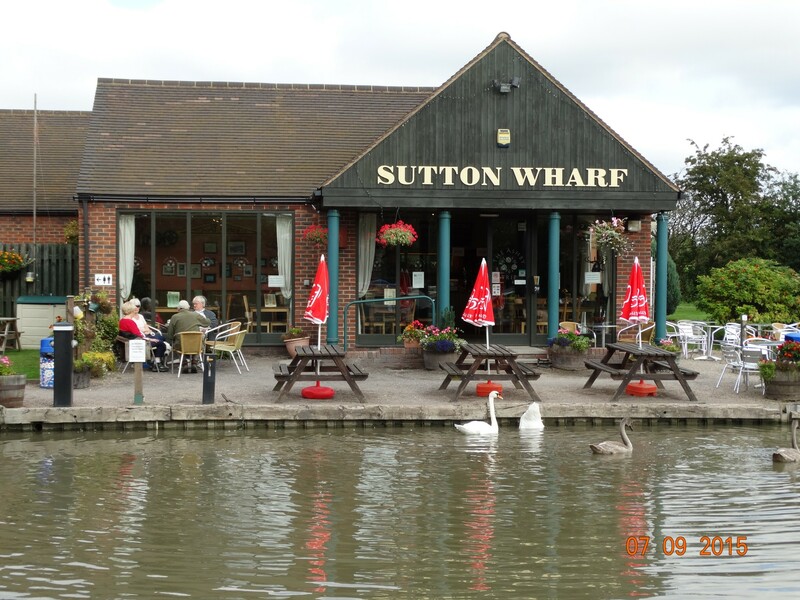 We soon got to Braunston and decided to carry on as we had stopped here in 2011. We may stop again on the way back if we come this way. 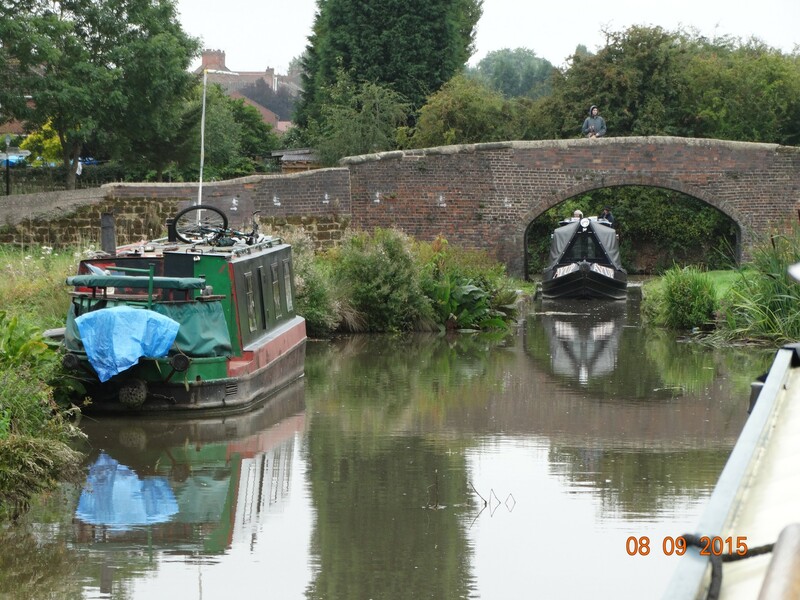 The canal now shares a short stretch with the Grand Union and we have seen a couple of widebeam boats moored here. 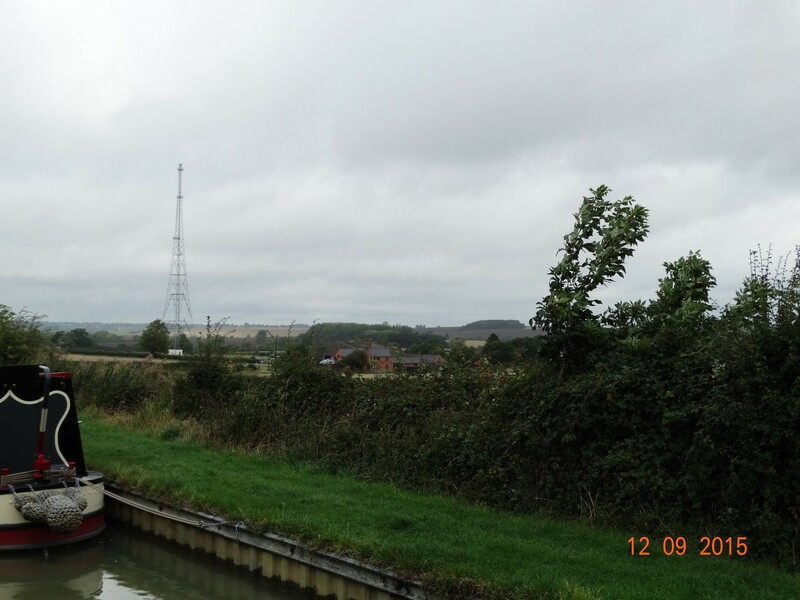 We carried on a bit further past Napton junction and left the shared section with the GU, and stayed with the Oxford canal. We are now cruising the South Oxford section. This is the furthest south we have been since we started. Napton on the hill was where we stopped for the day. Charlie did an oil change as it was due, and best done with a warm engine. 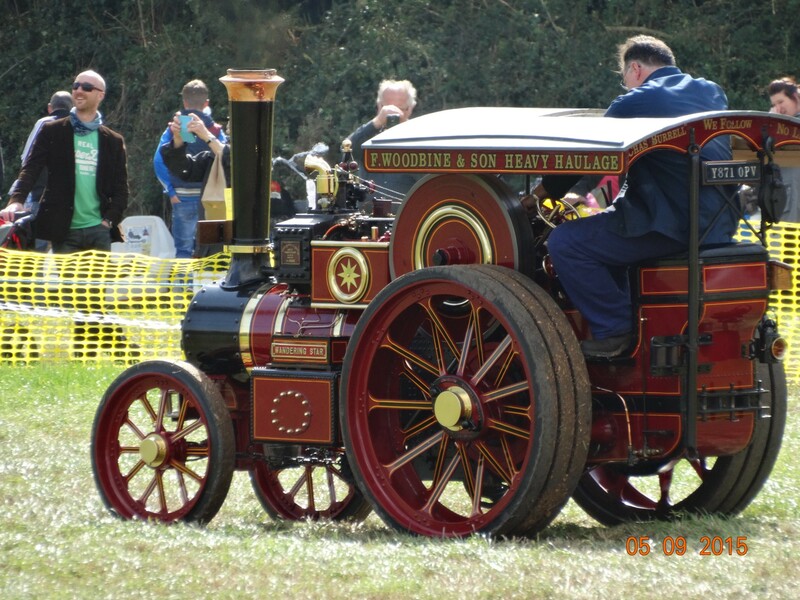 We have now done more engine hours in 2 years than the 2 previous owners did in 6! 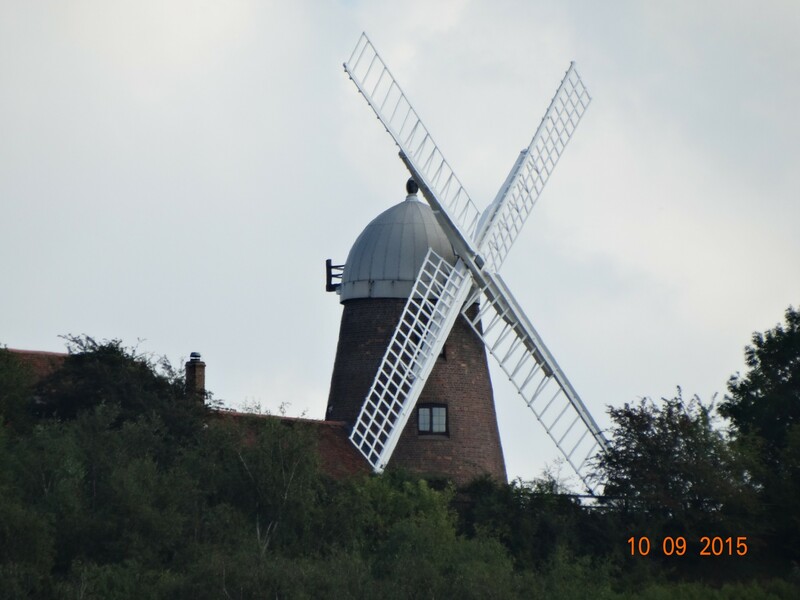 A windmill overlooks this country scene. Not working today. 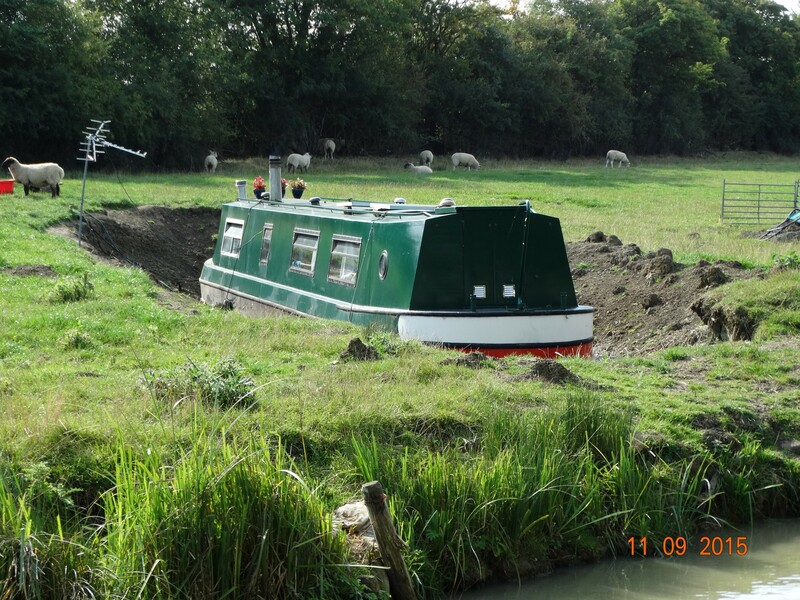 The other interesting sight was a landlocked narrowboat, obviously private land, but quite amusing. 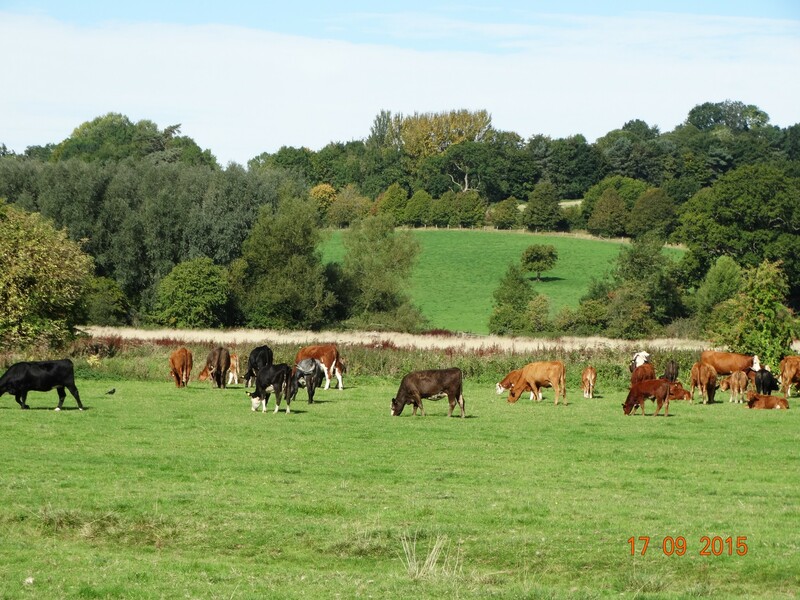 We are now moored in open countryside at the start of the Oxford summit. It has been quite breezy today which is always a challenge when steering. 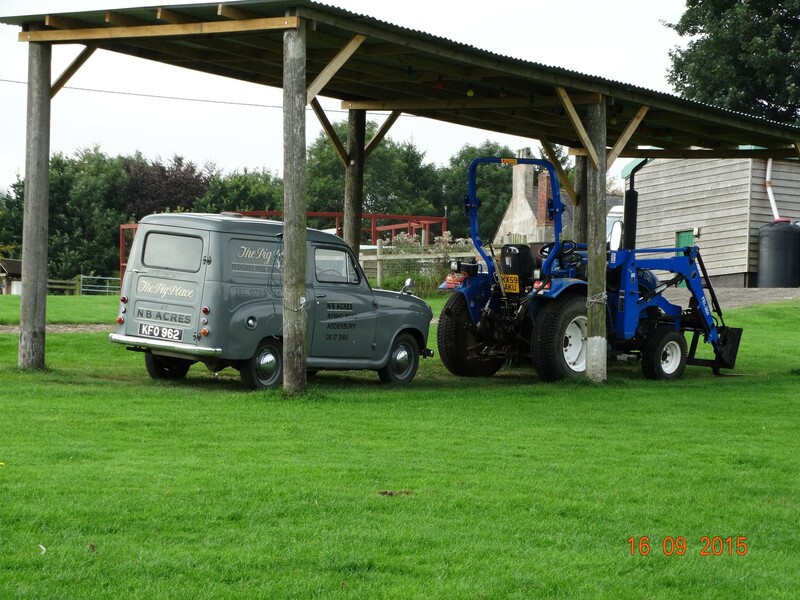 We tried to moor in a rough spot but it was too shallow and we had a job to get free. 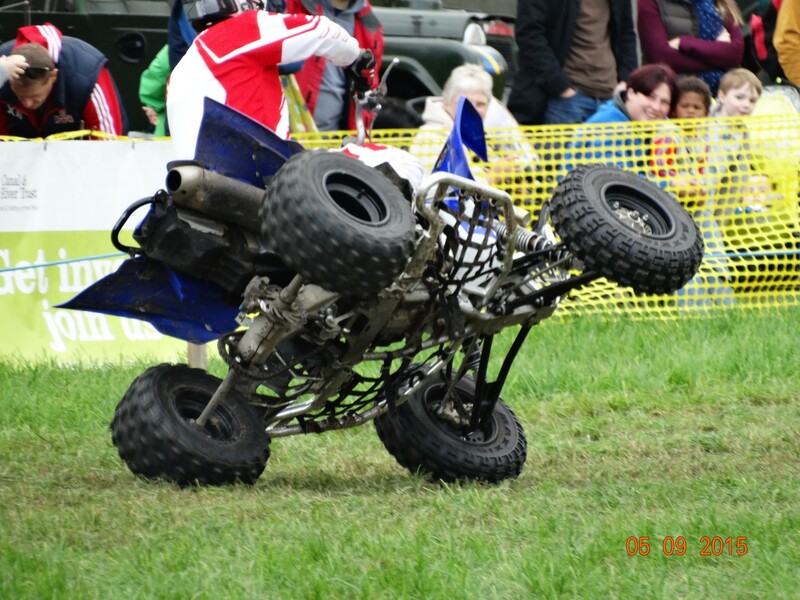 Why is it always when I am steering that this happens? 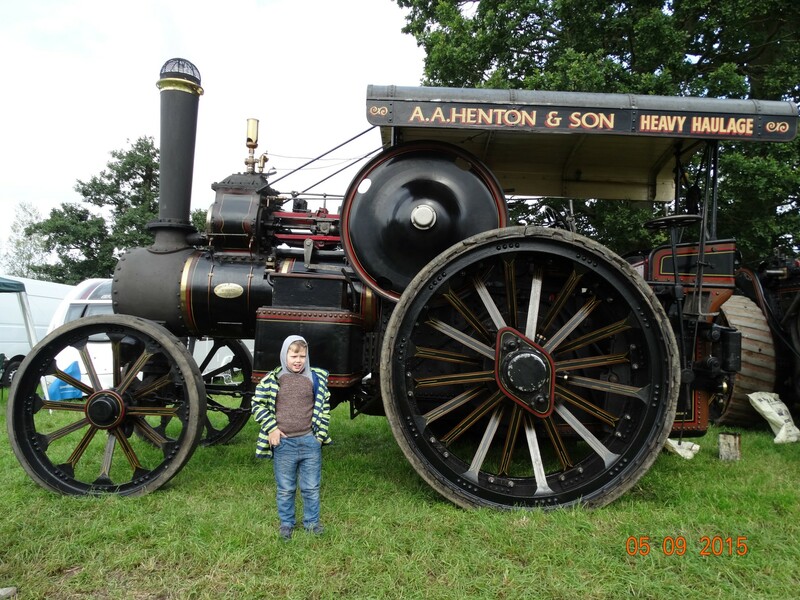 We will probably try and get to Fenny Compton tomorrow if we have the energy! We were off again at 08.30am to crack on with todays cruise. It started off quietly, but soon we were meeting lots of boats going in the opposite direction. There was only one boat behind us that stayed with us nearly all the way. 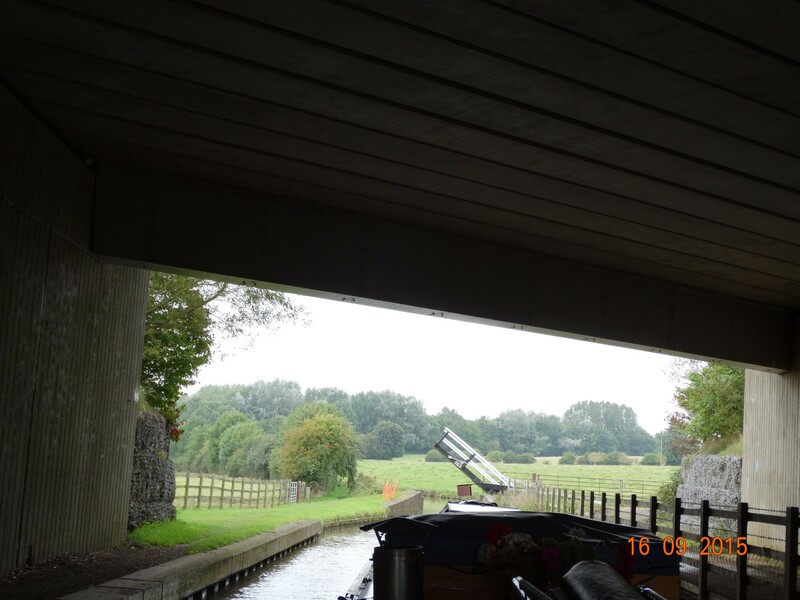 They passed us after we had moored before Hillmorton locks and thanked us for our sensible cruising speed especially through the tunnel. We have passed under the M6 and travelled almost parallel with the railway line, with Virgin trains thundering by. 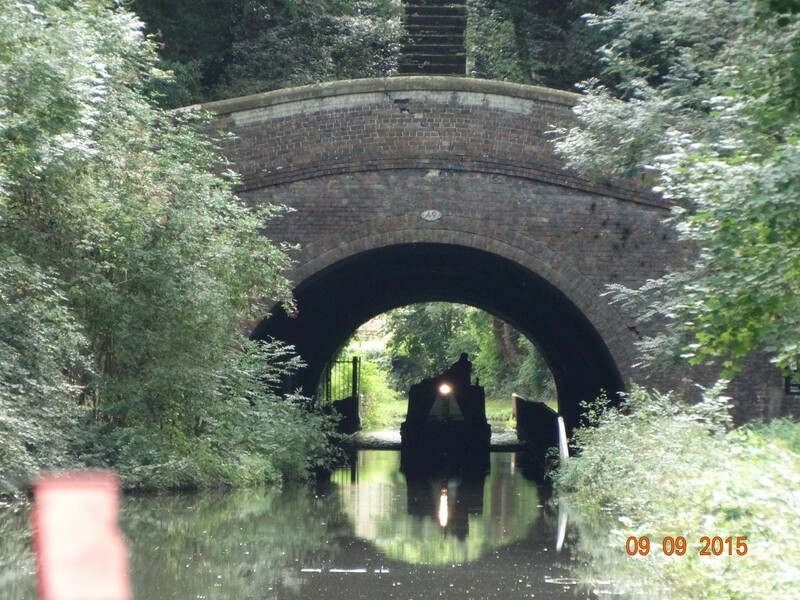 We had to wait to go through the Newbold tunnel as there was a boat coming through. We last came this way in 2011 on a hire boat (but going in the opposite direction), but we have to say we don’t remember any bit of it. 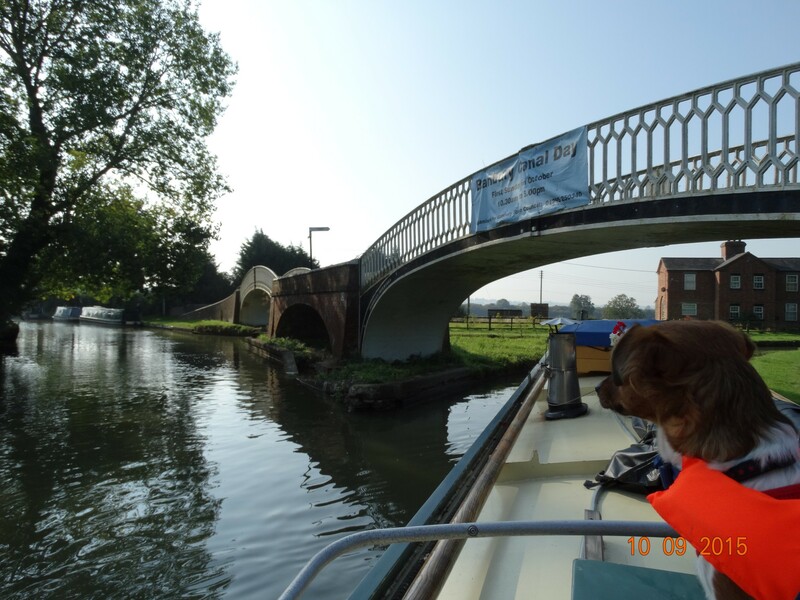 We cruised past Rugby (maybe a stop on the way back); and the place where we did our helmsmans course also in 2011. Entrance to Willow Wren where we did our helmsmans course. 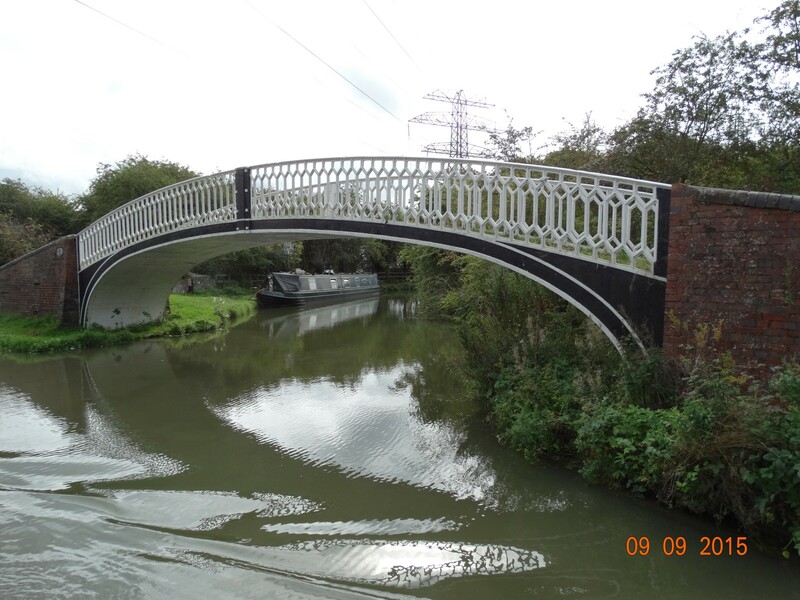 There are many of these little arms along the route which shows the original course of the canal, and all have this wrought ironwork on the top. 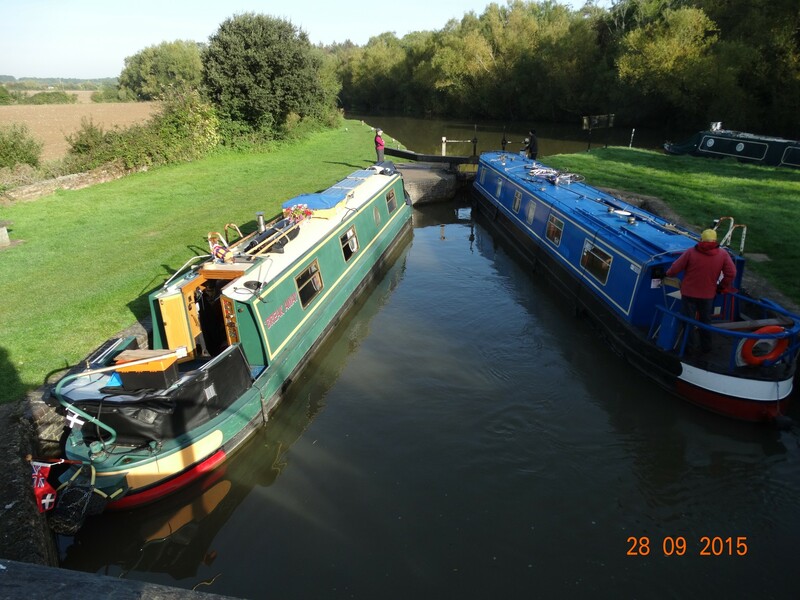 We will be up early tomorrow to do Hillmorton locks as one of the top locks is closed and things have been very busy today with boats queueing. 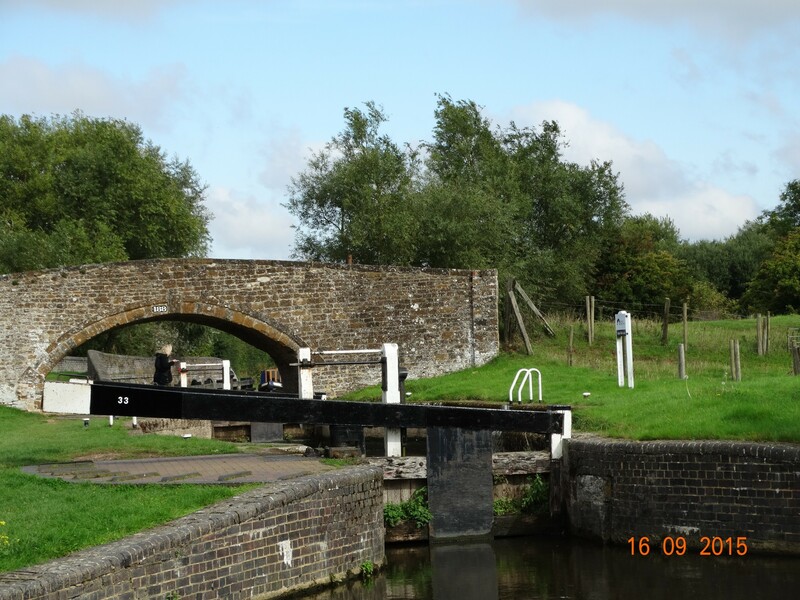 They are double locks so usually 2 boats can go through at the same time. We have met these before on the T&M. 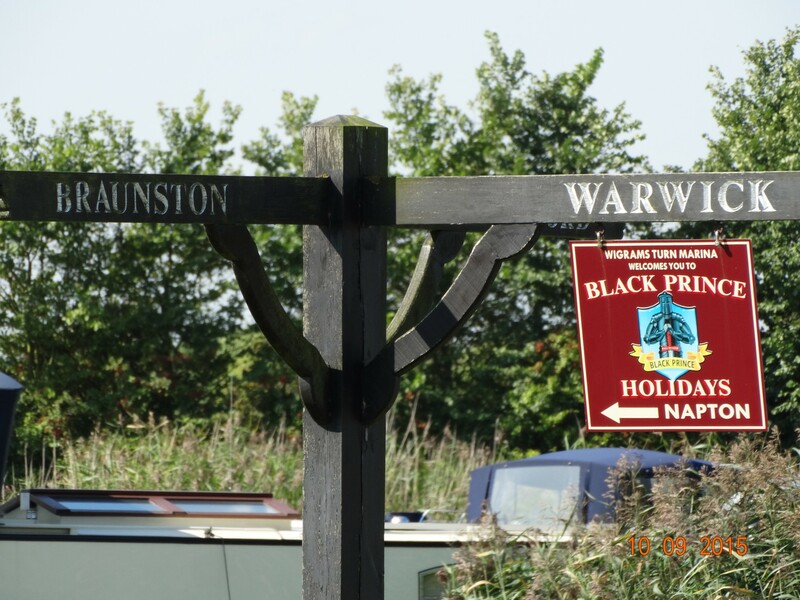 We want to get to Napton junction tomorrow if possible. Canals I mean. We set off at 08.20am as we were woken at some unearthly hour by a nearby cockerel that didn’t stop crowing. The weather hasn’t been as warm today as it was yesterday. We started off in shorts but quickly changed to layers and long trousers, as it was quite cold. A bit of mizzle in the air also. 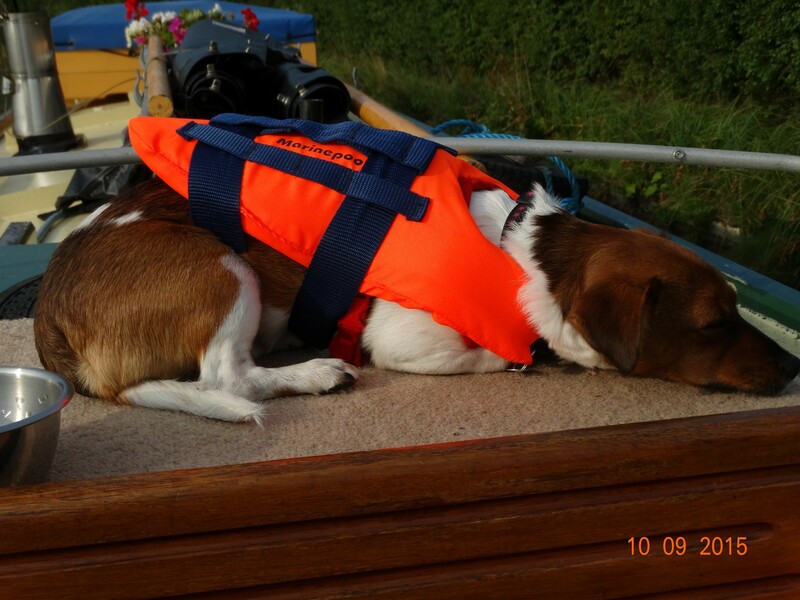 Our cruise off the Ashby was uneventful, only passed a couple of hire boats. I managed to walk Izzy for approx 1 mile whilst Charlie cruised. At Marston junction there was a boat coming through so we held back; and there was a boat waiting for us to go through. 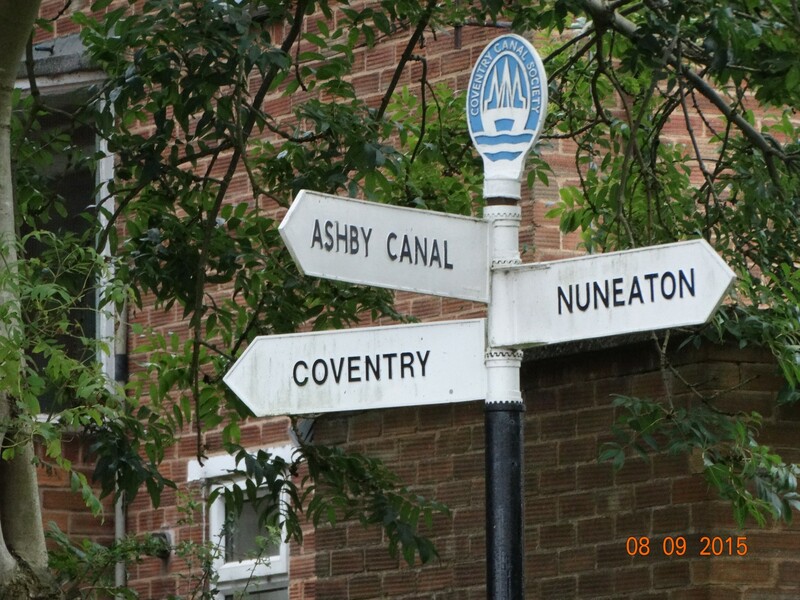 We are now back on the Coventry canal for a short stretch. It was getting busier, but still uneventful thankfully. Whilst cruising I managed to prepare dinner, and also make a blackberry and apple crumble. No good for the waistline but delicious with custard. My excuse is I walk miles with the dog!! 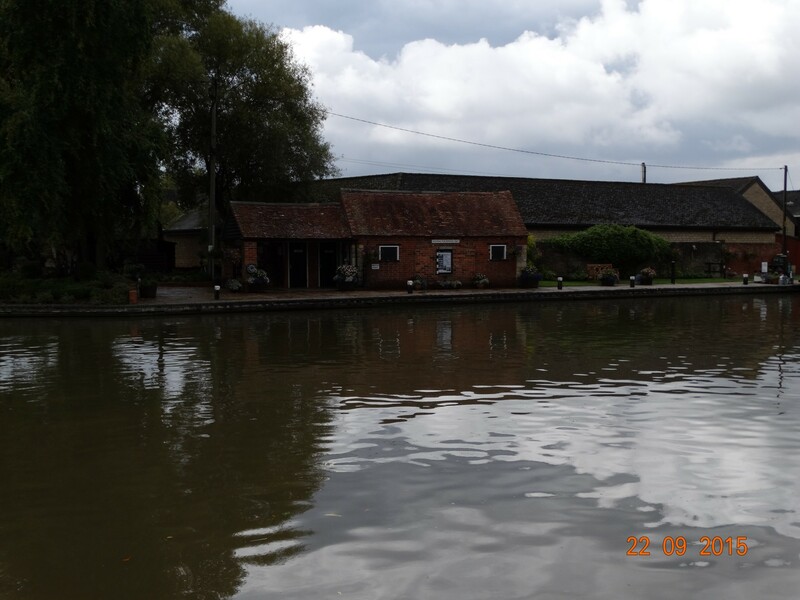 We reached Hawkesbury junction after 1hour and decided to turn onto the Oxford. The junction was busy with moored boats and about 4 boats waiting to come through (in the opposite direction to us I may add). A boat was in the stop lock and I went to help. Charlie turned into the junction and waited, meanwhile a hire boat was very keen and placed themselves against the lock gate. Needless to say we asked politely if they could move back so we could come through as the lock (although small) was set in favour for us. 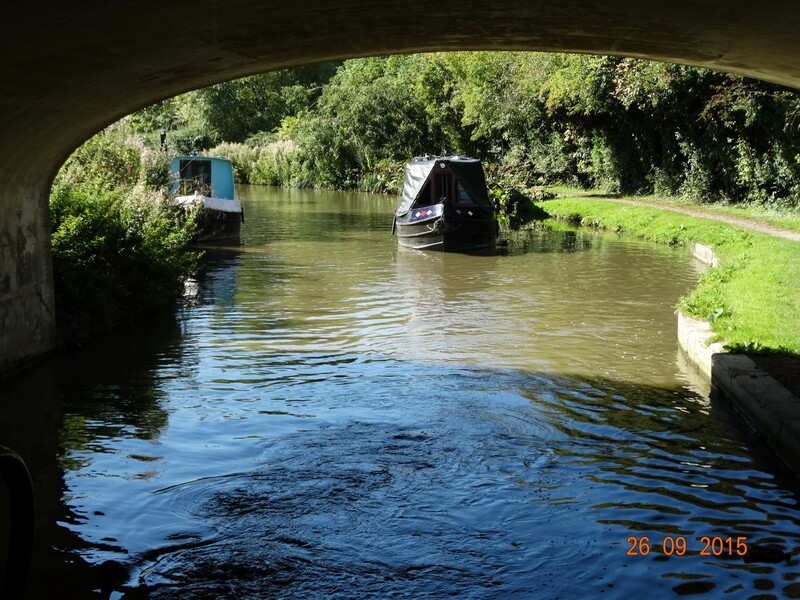 We are now on the North Oxford canal. 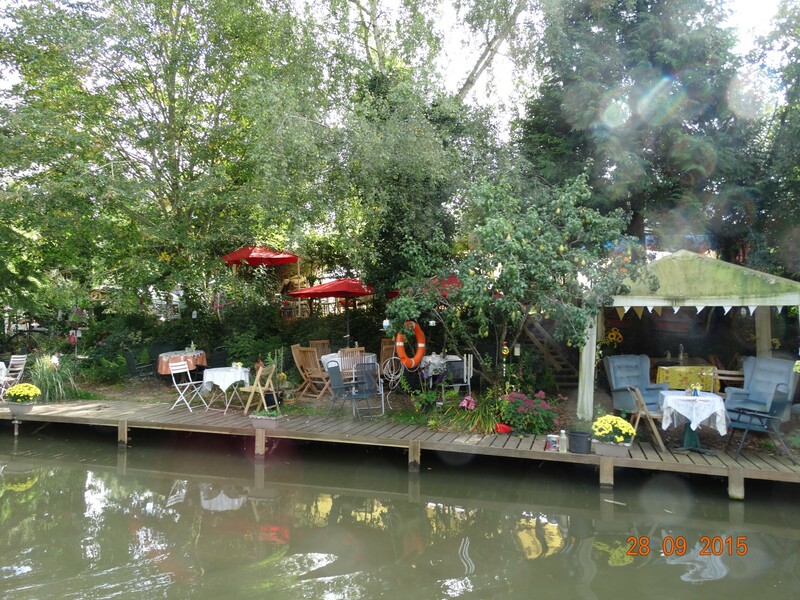 We were last here in 2011 when on a hire boat, but really can’t remember it. Maybe because it’s a different time of the year. We have moored at Anstey for the night. So after taking dog for another walk, I have collected more free food (blackberries). More crumbles? Or maybe jam? 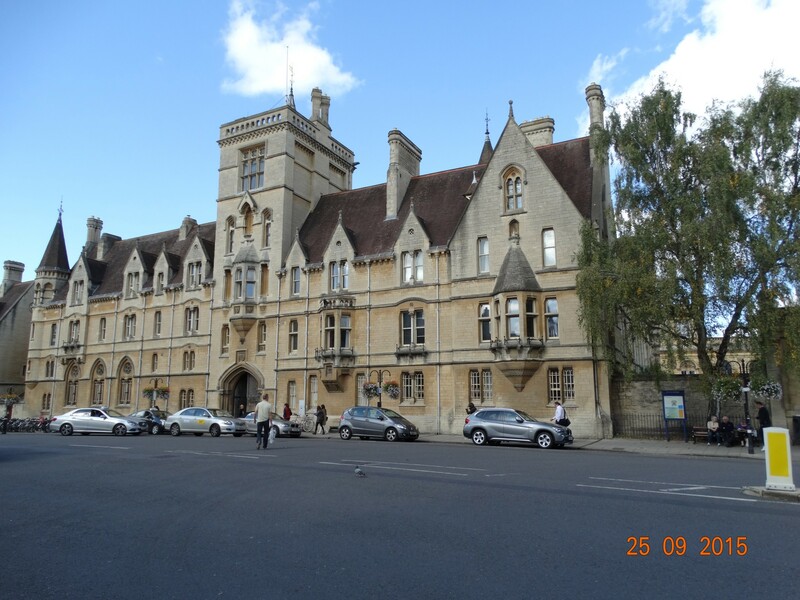 We will have to travel daily to reach the South Oxford in time to meet up with friends. They only have a weeks holiday. We can take our time again afterwards. A weeks worth of news! 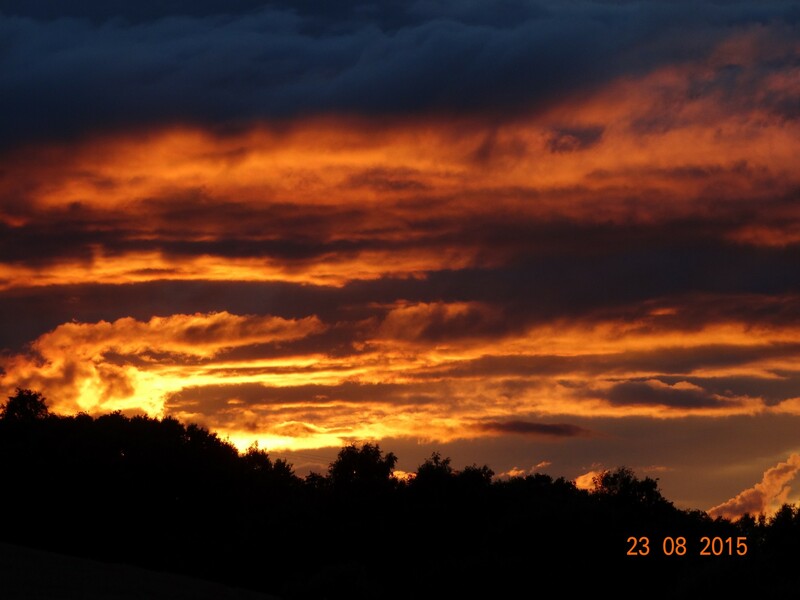 Again I can’t believe where the time is going, and it’s almost a week since my last blog. Anyway I now have the computer back with a new 12v charger. 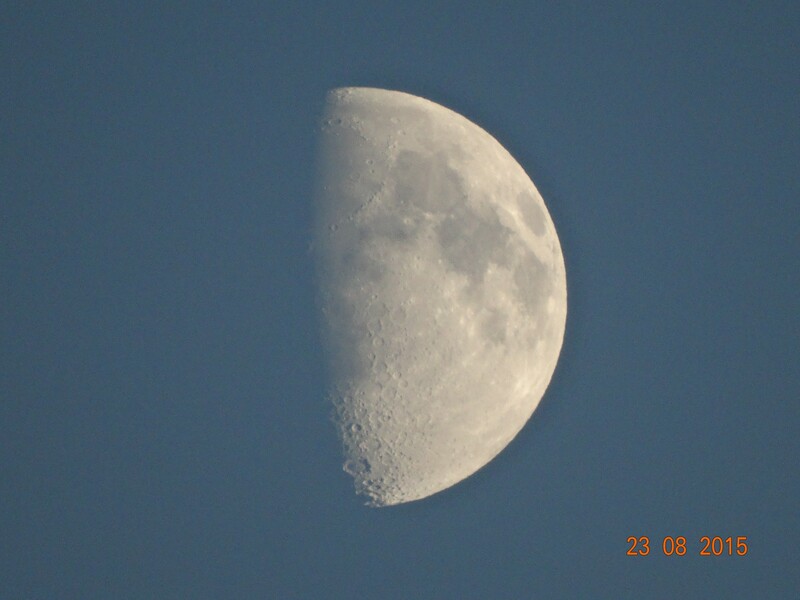 Firstly I must share a couple of pictures that I took when we had reasonable weather at the end of August. Everyone was suitably exhausted at the end of the day, and a good day was had by all. 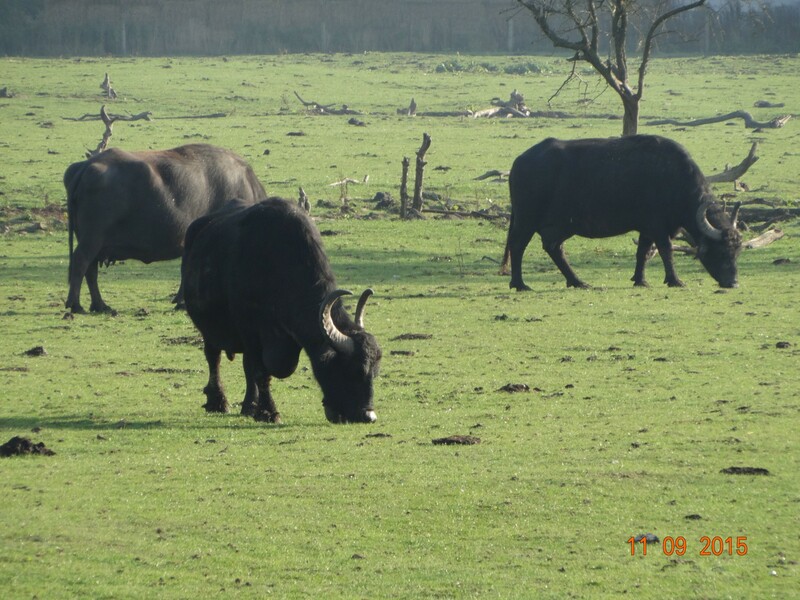 Sunday was a bit lazier in the morning as family had to go home after lunch. 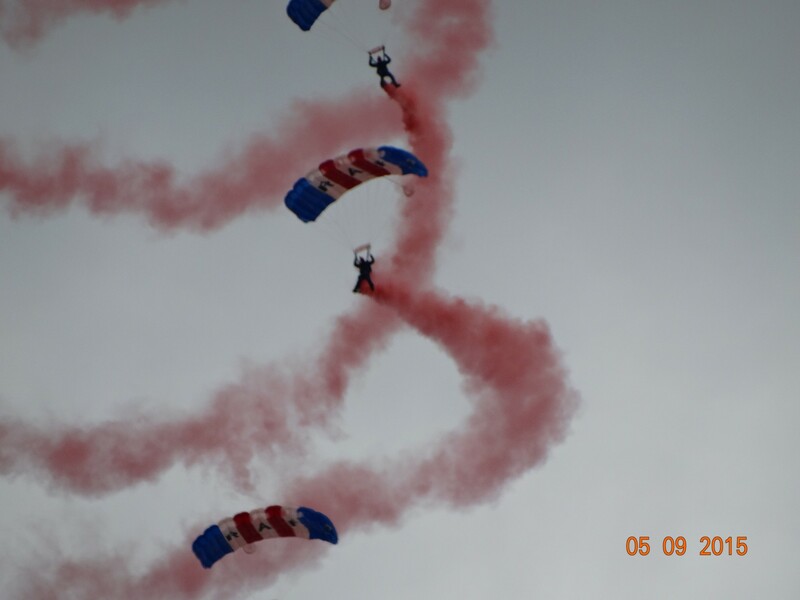 Alot of tidying ensued on their departure. Luckily I was able to order more parcels to my daughters house, and she said she felt like a post office sorting centre! Anyway I now have rubber brushes (for the dogs hair), new 12v chargers (for the computers), new shoes (have to go back as they are the wrong size ggrrhh), and some new fleeces. The marina was hosting a BBQ in the early evening so we went along and socialized until the wind got up and it became too cold to sit out any longer. Today we departed from the marina after saying our goodbyes, and we decided to travel till we got fed up. 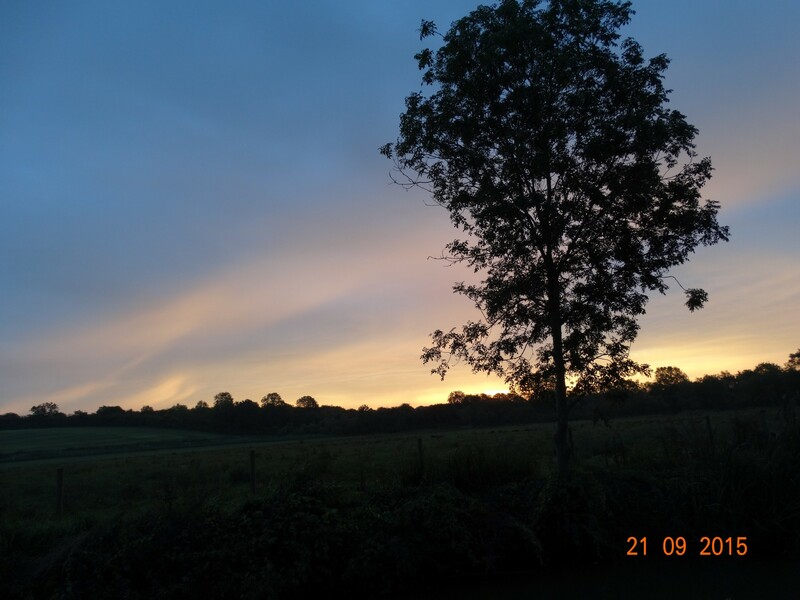 Typically the weather has brightened up (kids are back to school), and I was able to take some photos along our journey (though I did stay inside to bake a cake with a really ripe banana, and do some sweeping). I also have to take the tiller when other half needs the call of nature! After 4hours cruising we stopped at the Lime Kilns pub again (though not to participate this time as need to reign back the spending a bit). 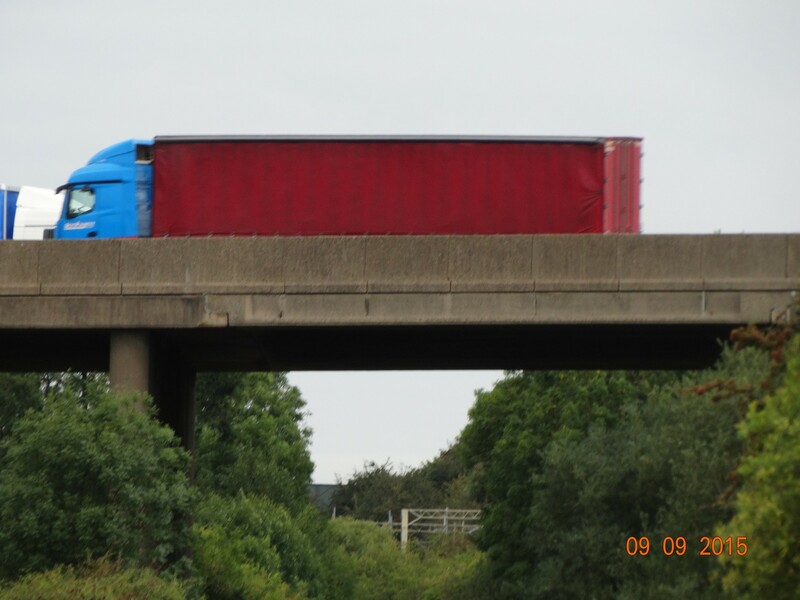 Just after the bridge we spotted a familiar sight. This is the second time we have seen the boat since we have been travelling, and it brought back good memories. 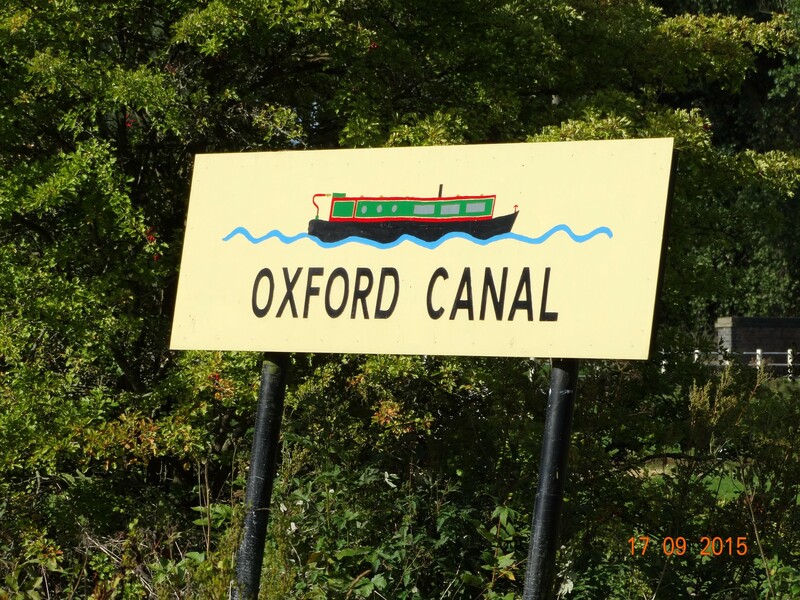 We are now heading for Hawkesbury Junction and the Oxford canal, as a previous work colleague is hiring a boat for a week from Heyford, and travelling to Oxford and back. We hope we can meet up with them somewhere along their route, so may have to travel daily and for longer than we usually do for this rendezvous to take place. This is another change of plan from what we originally were going to do, but hey ho what is life about if not to change things occasionally.